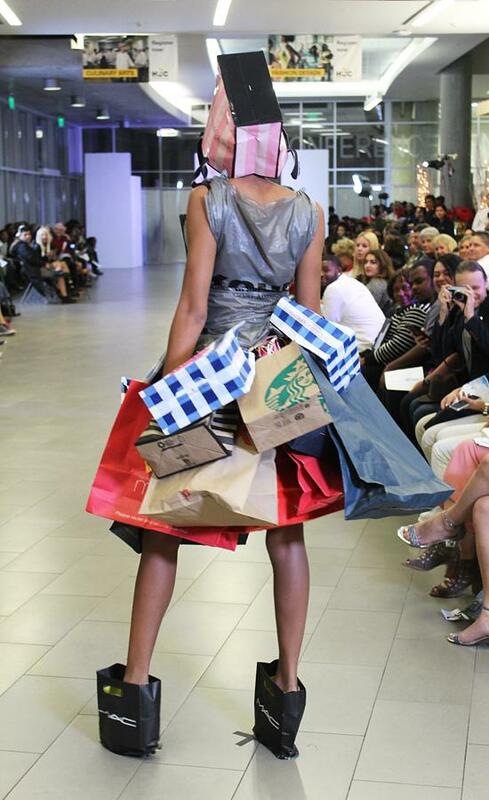 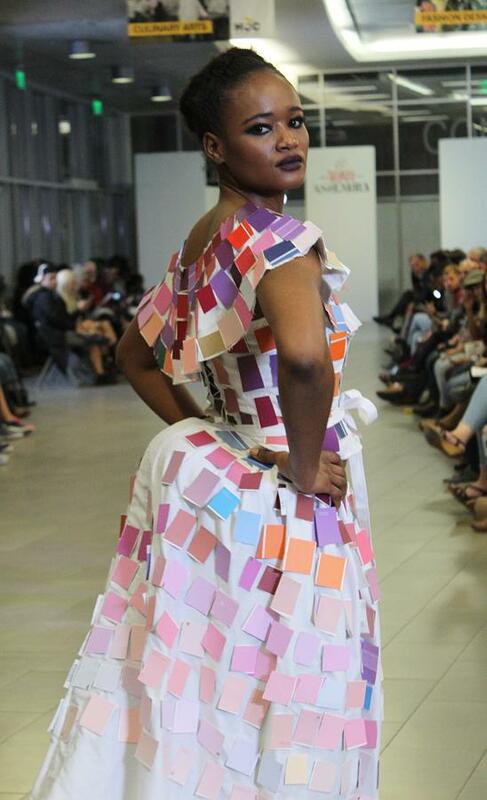 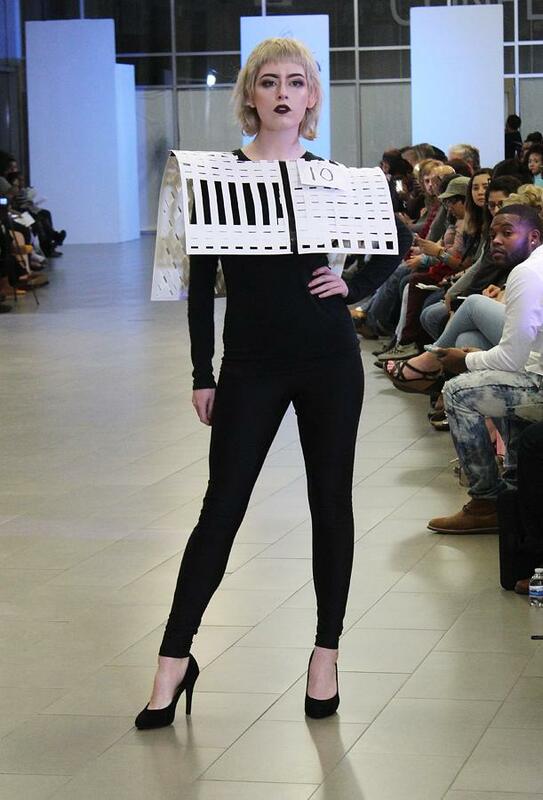 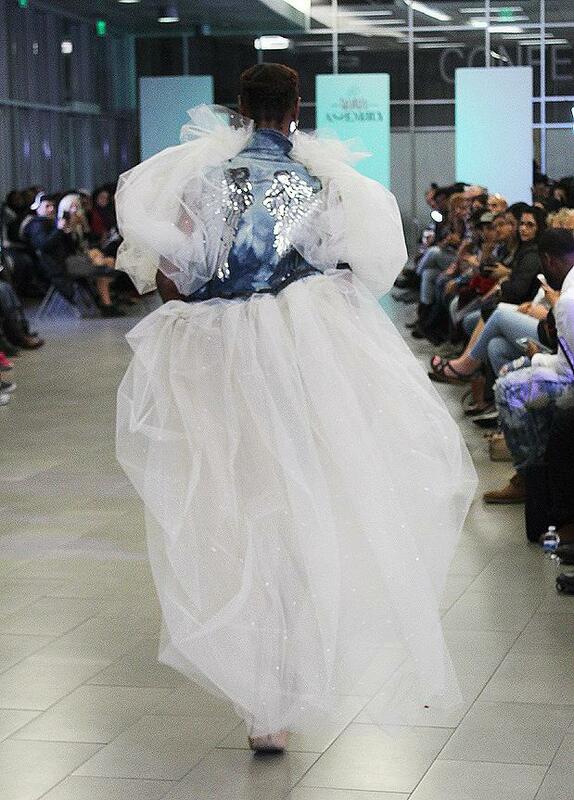 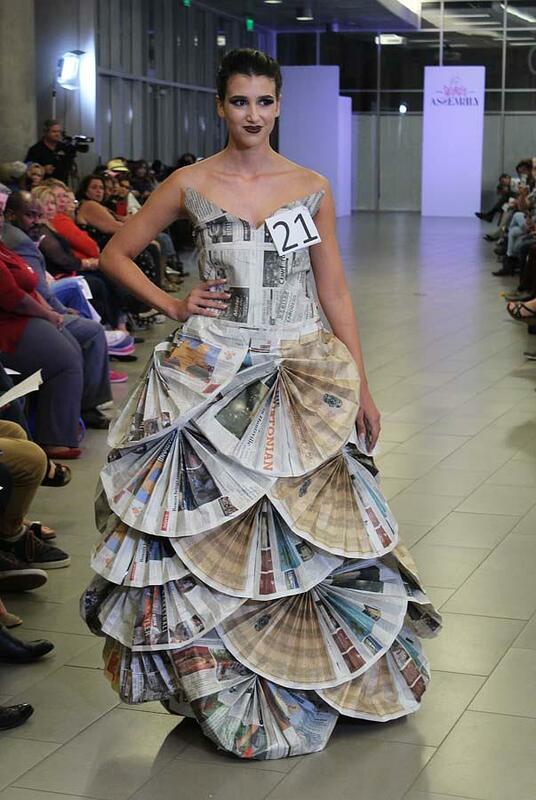 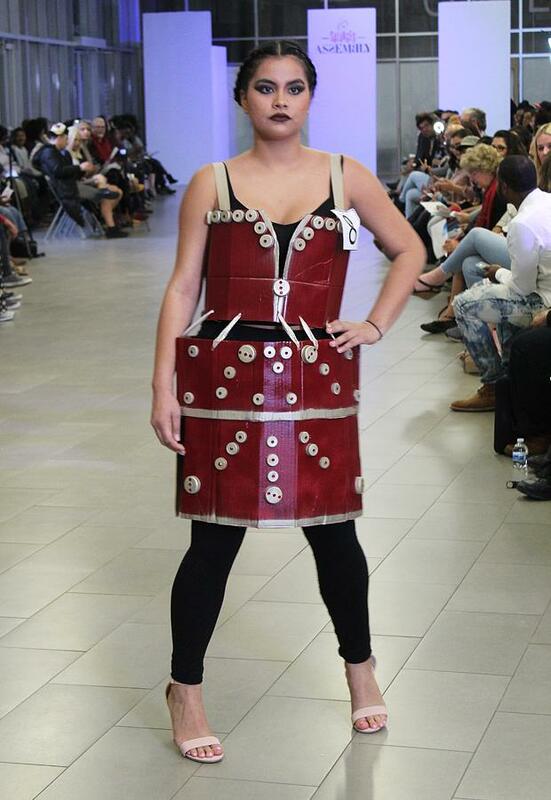 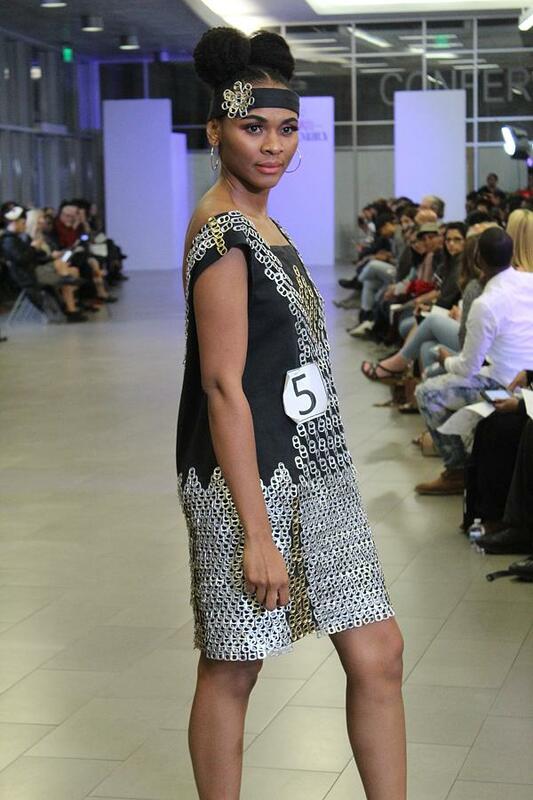 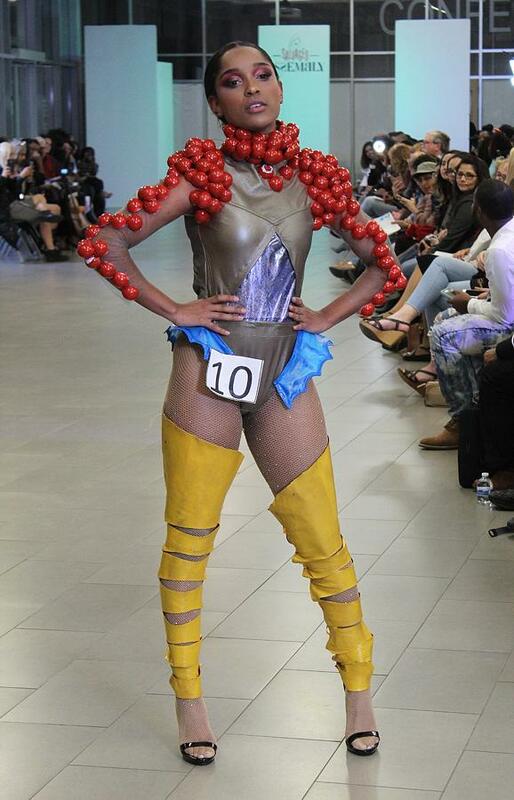 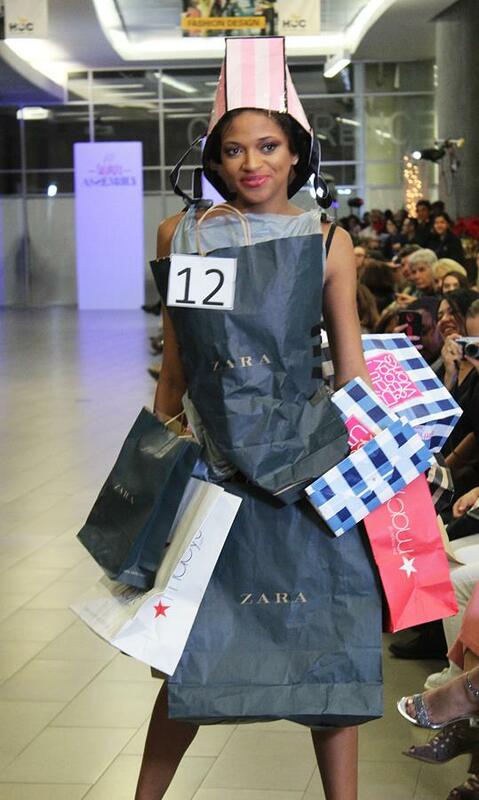 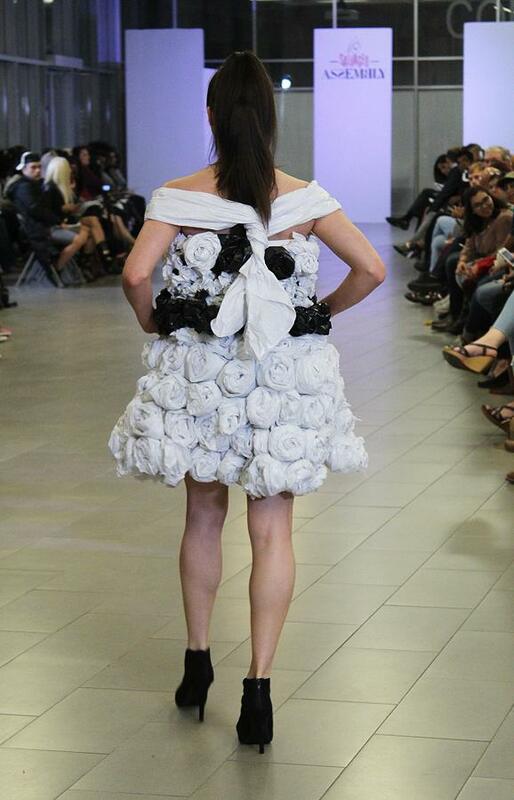 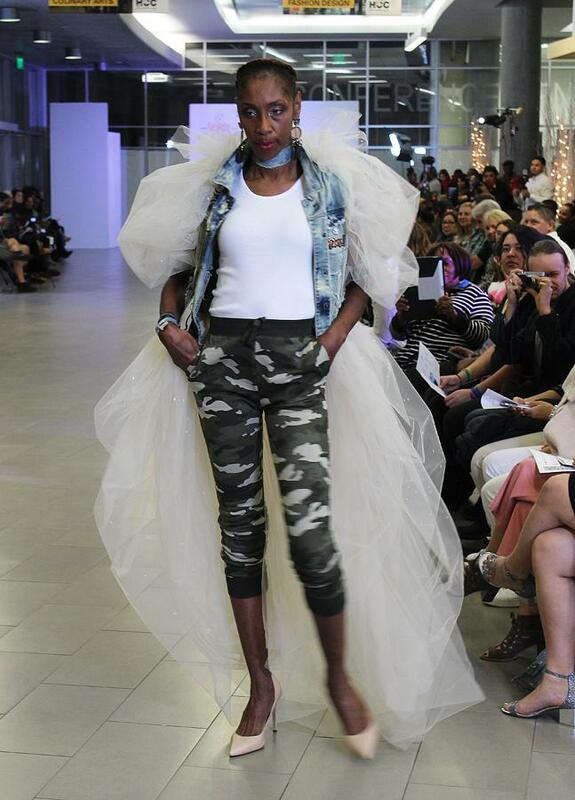 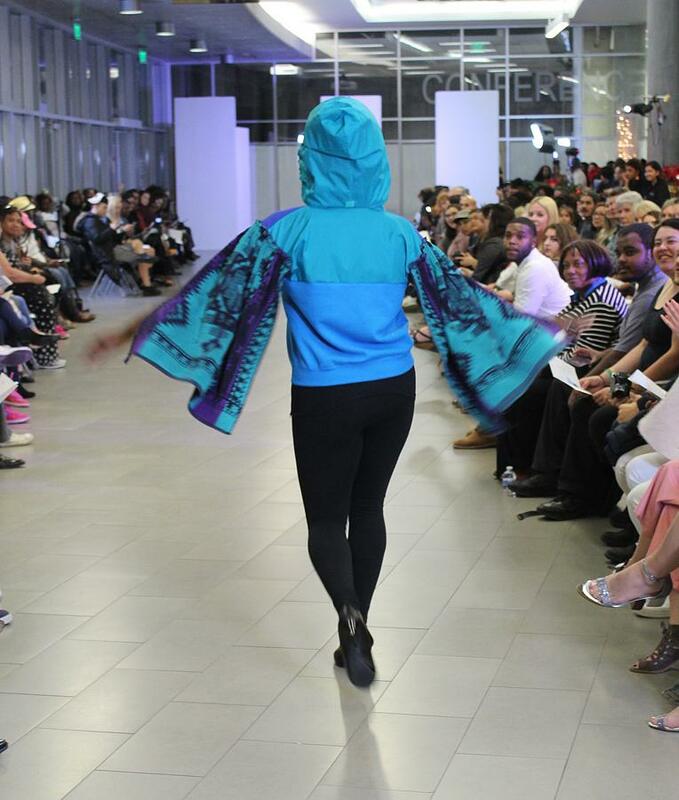 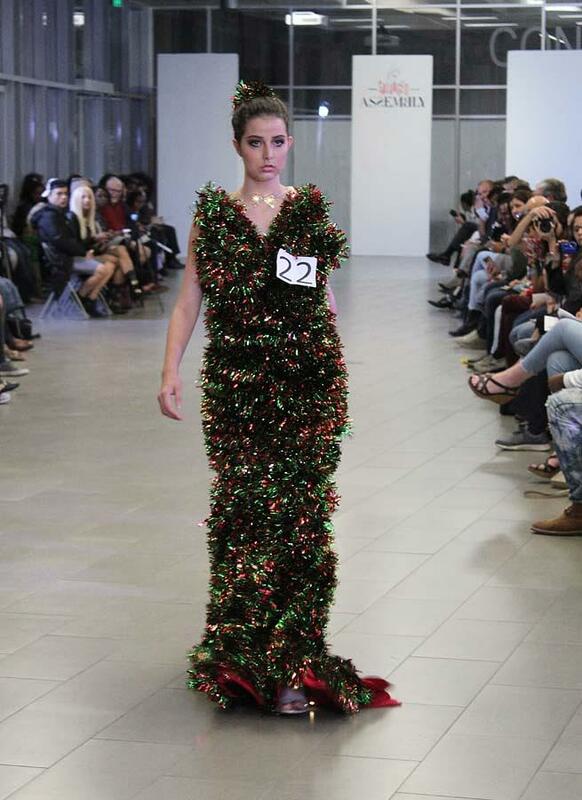 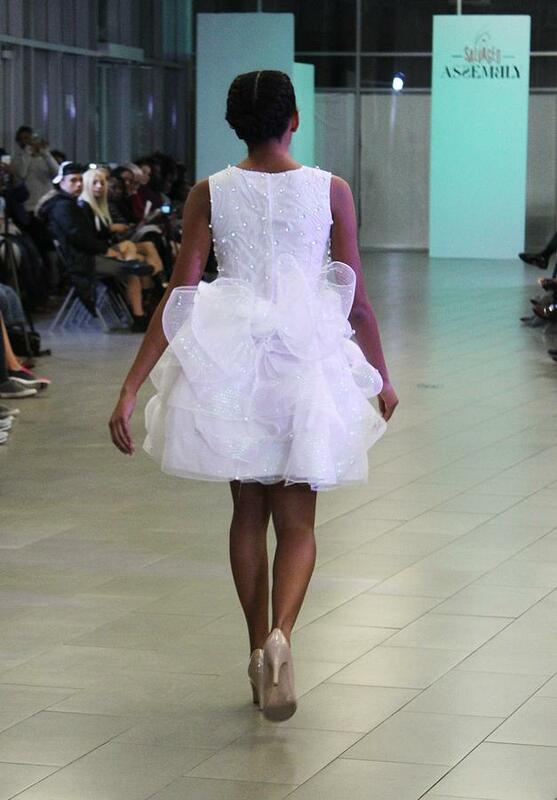 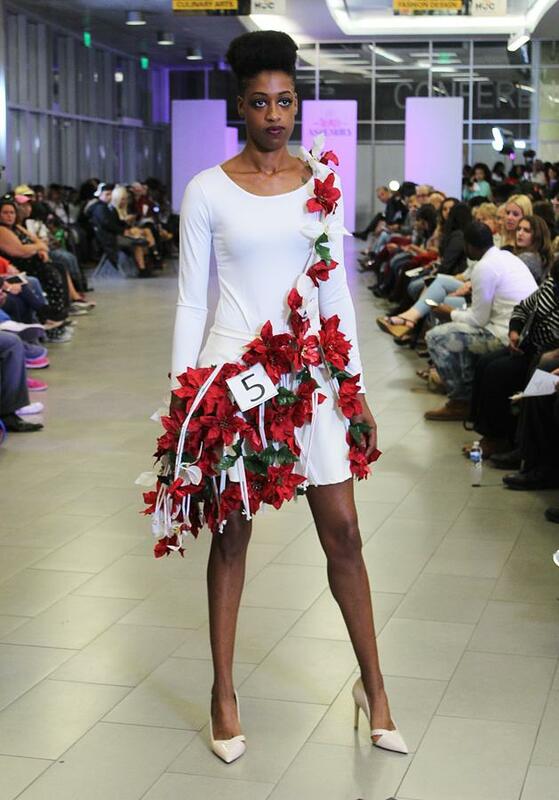 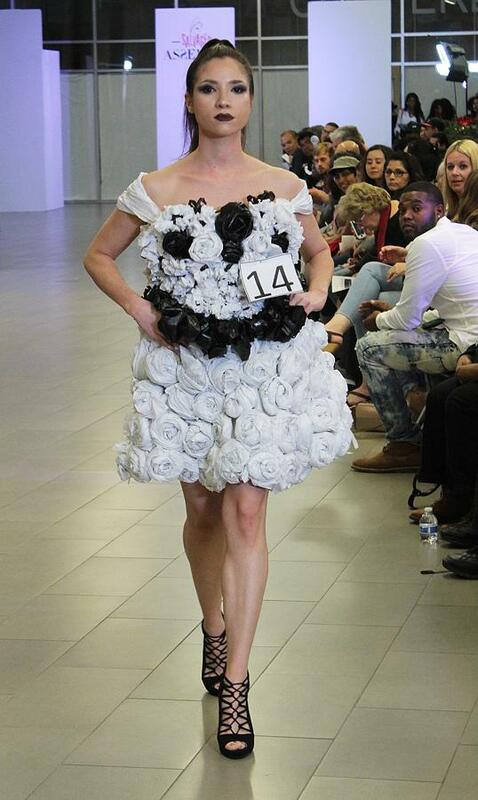 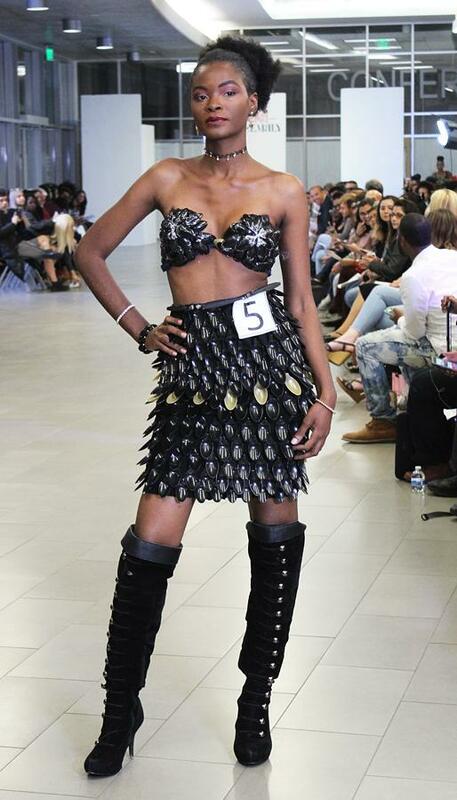 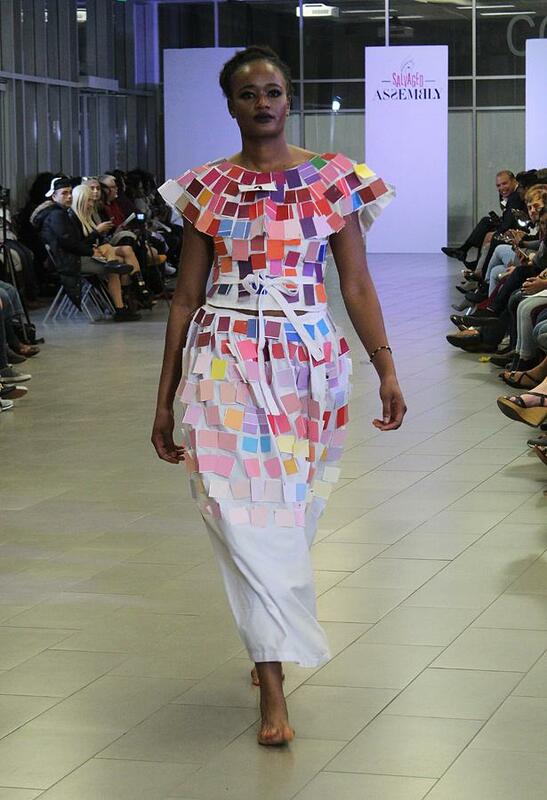 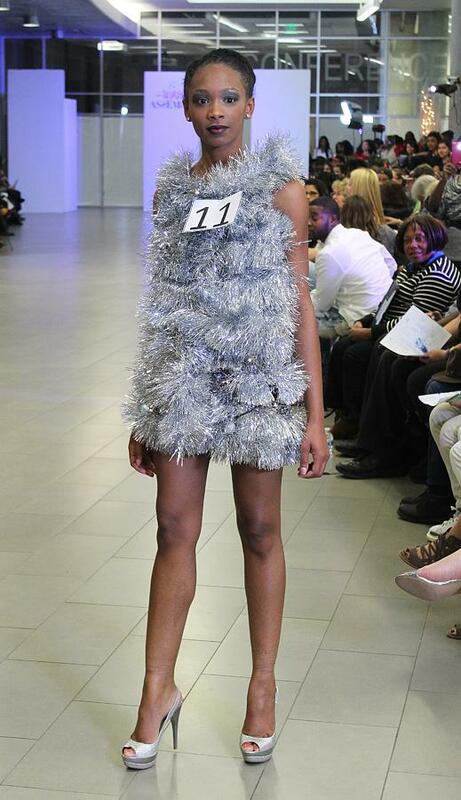 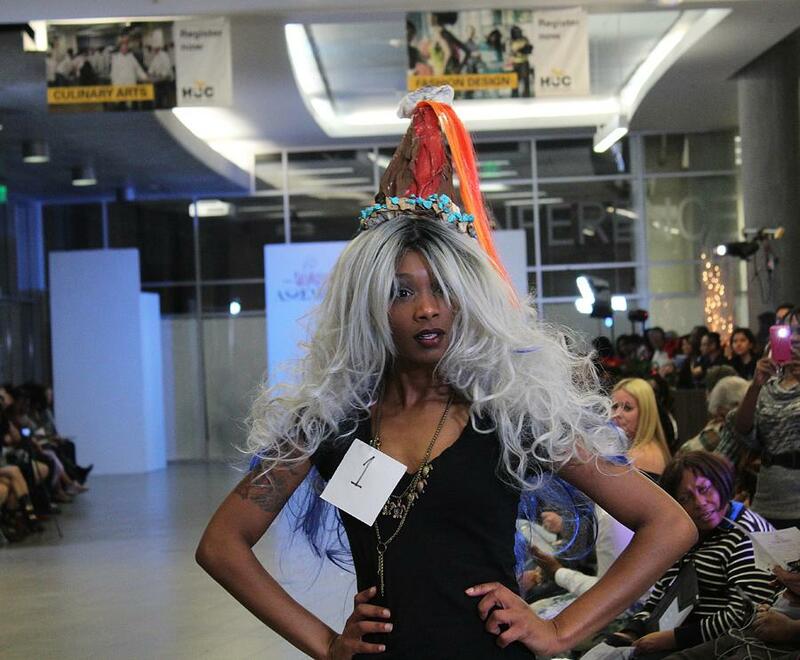 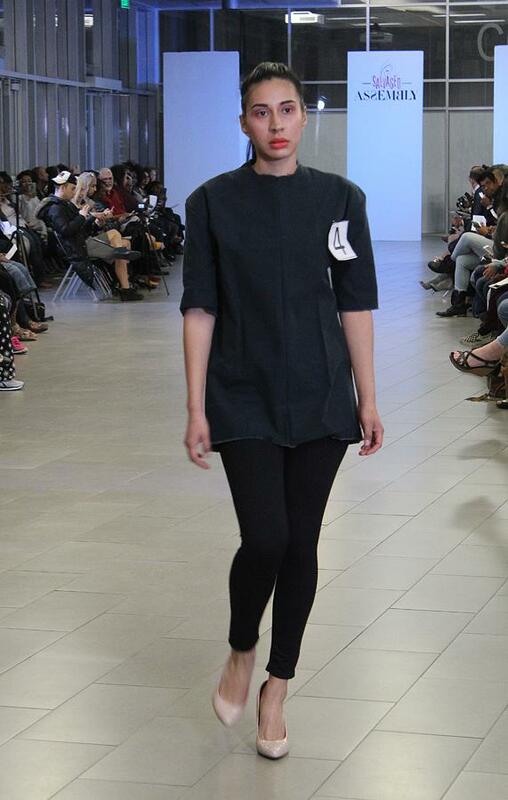 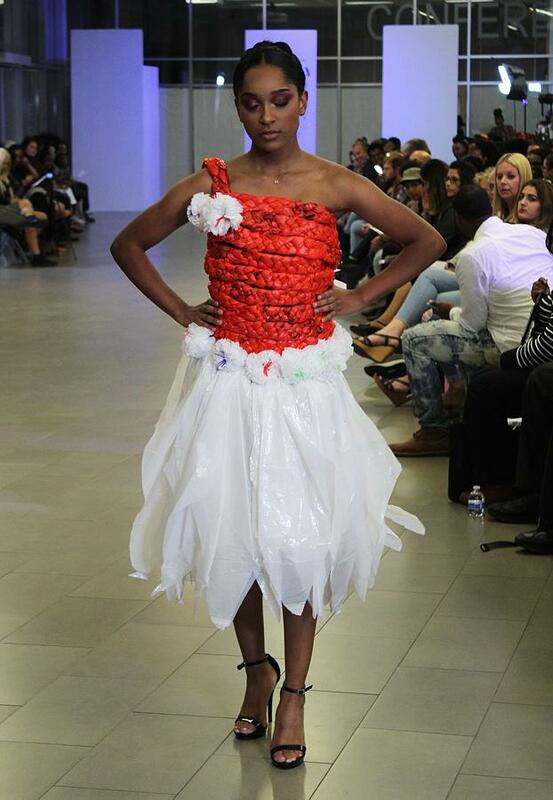 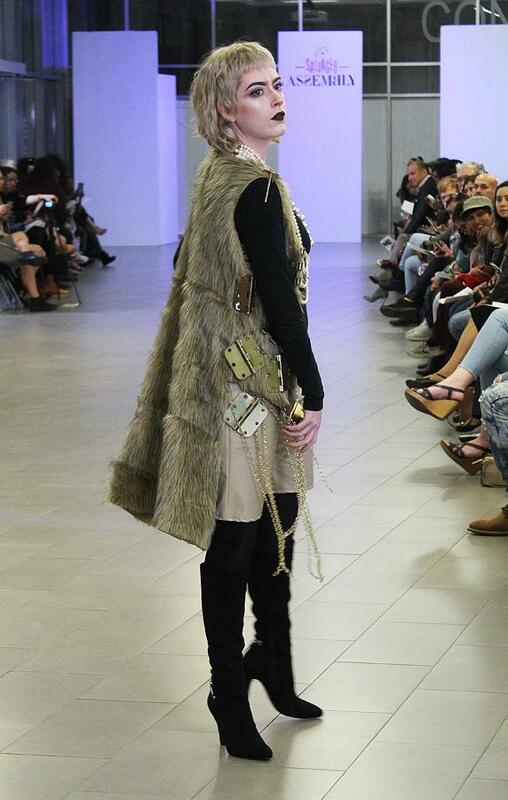 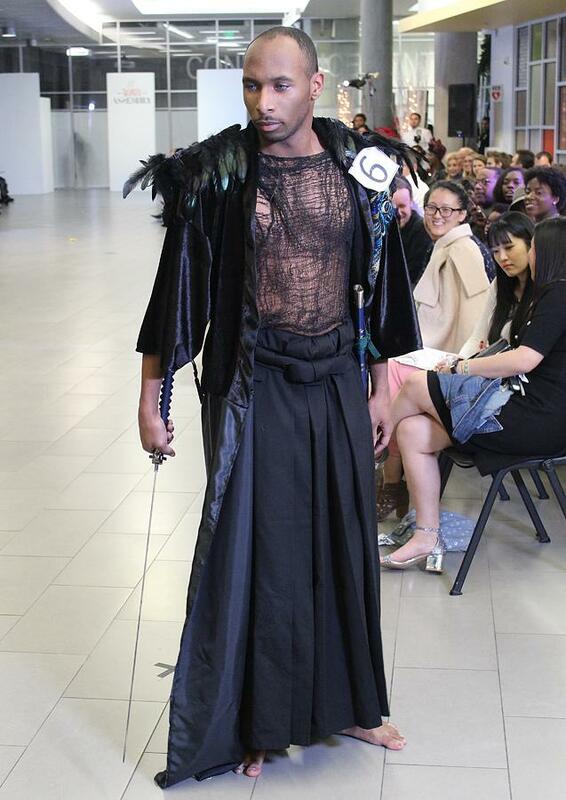 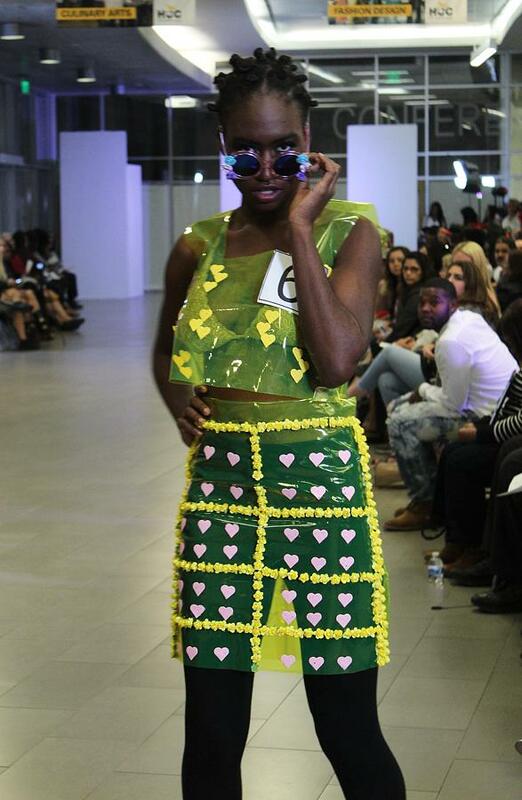 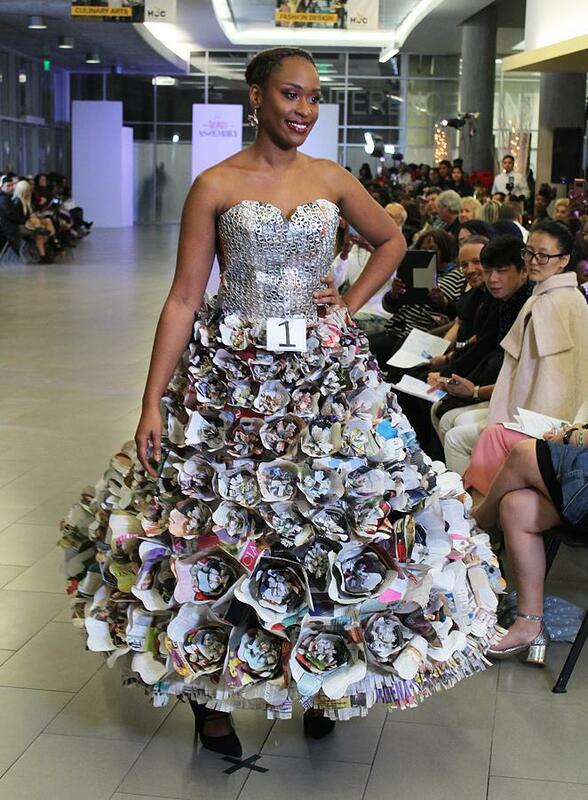 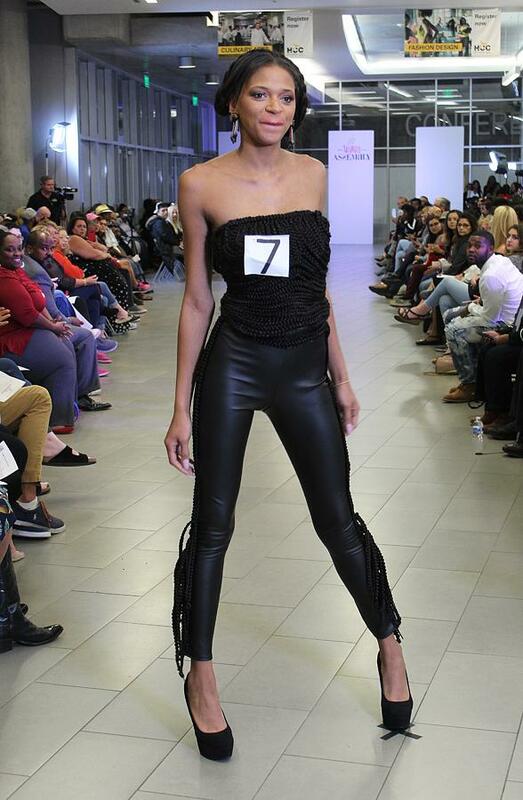 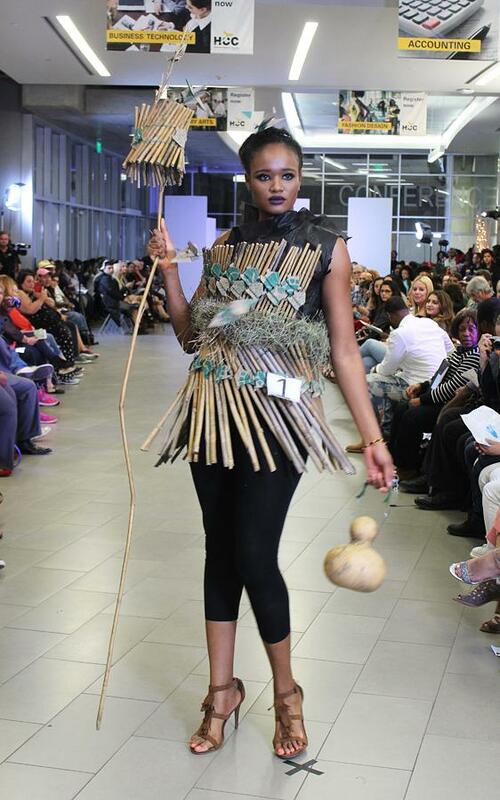 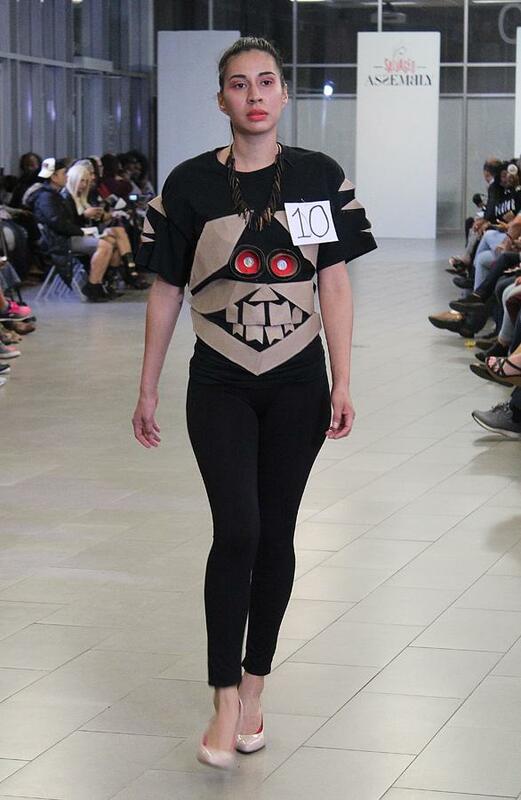 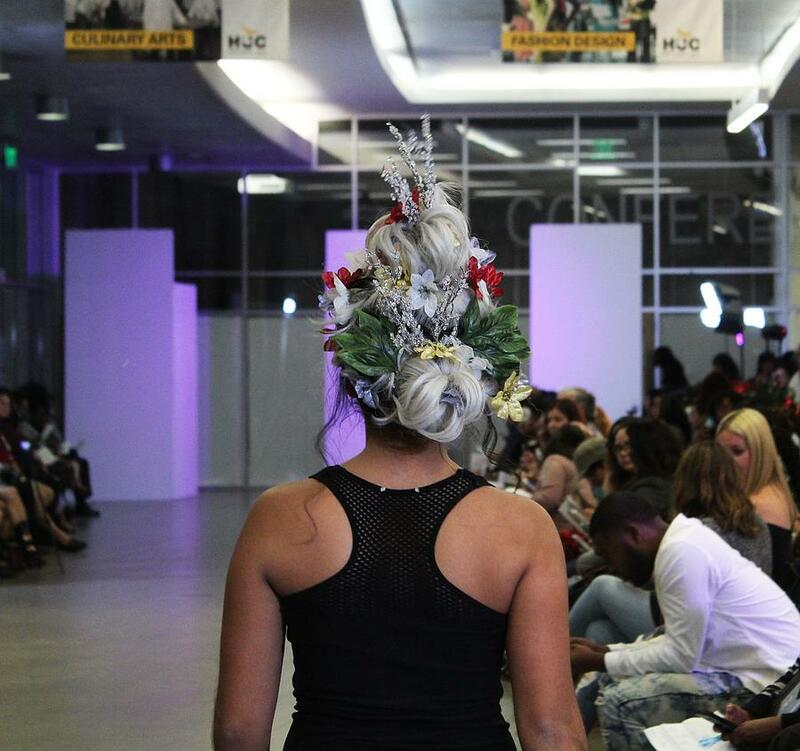 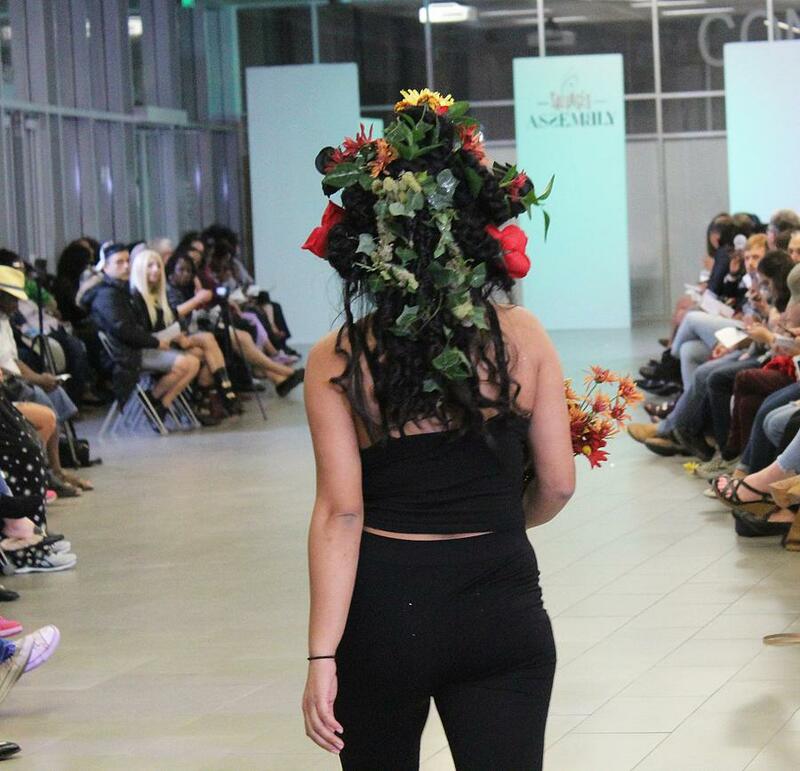 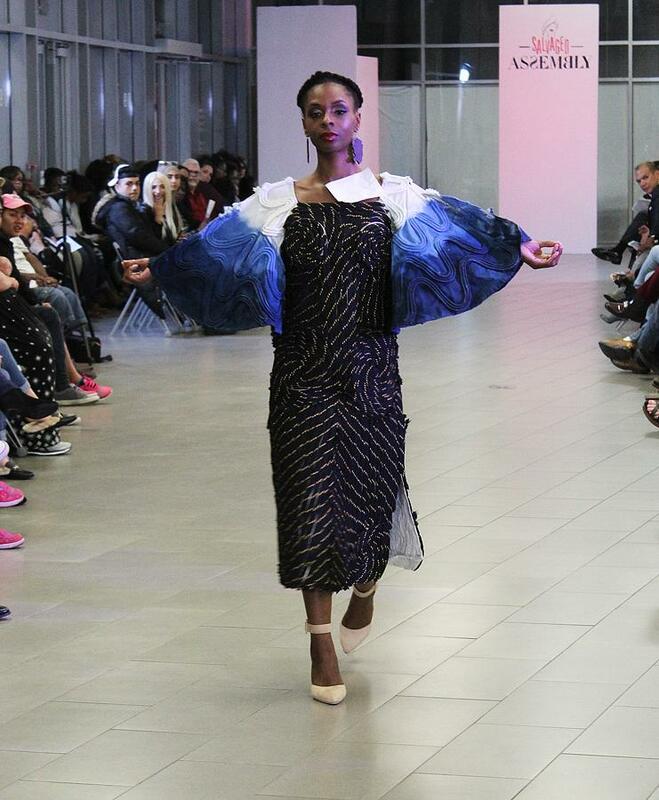 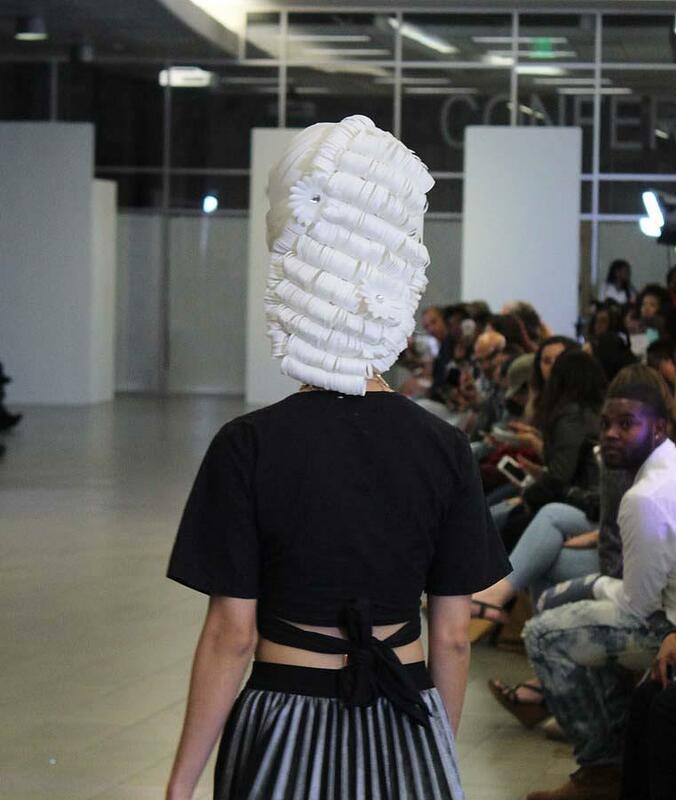 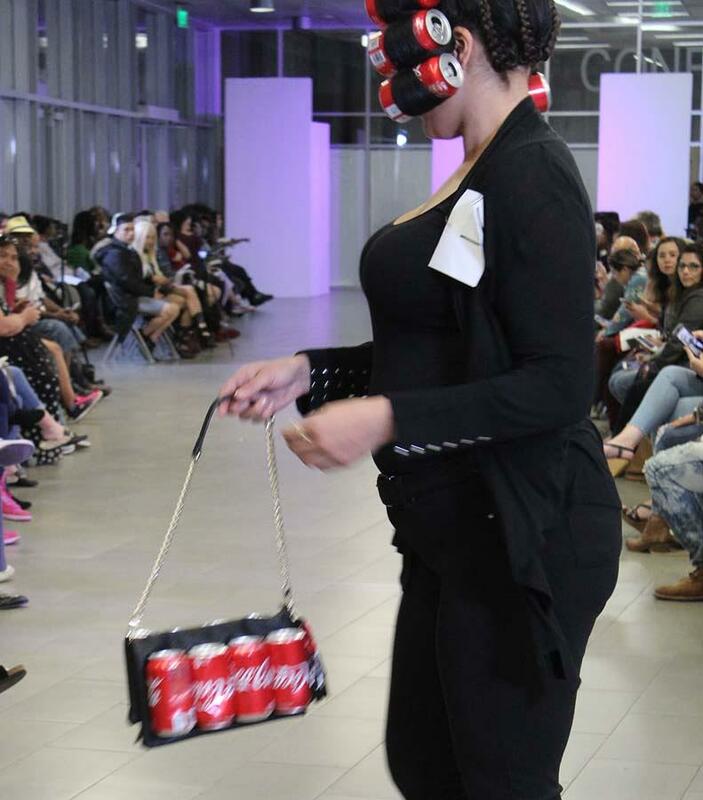 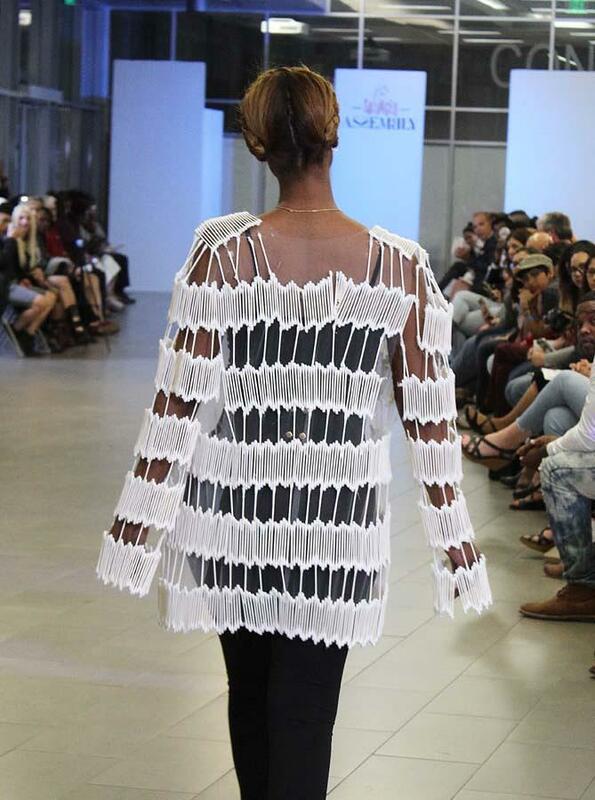 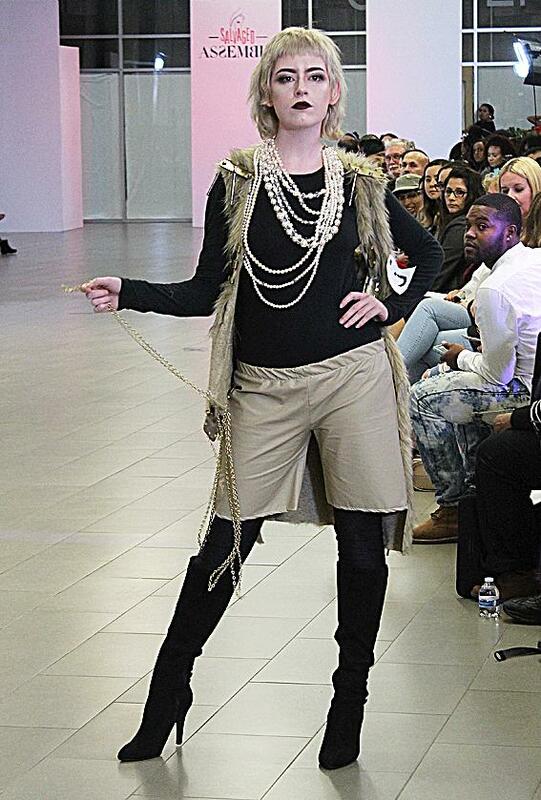 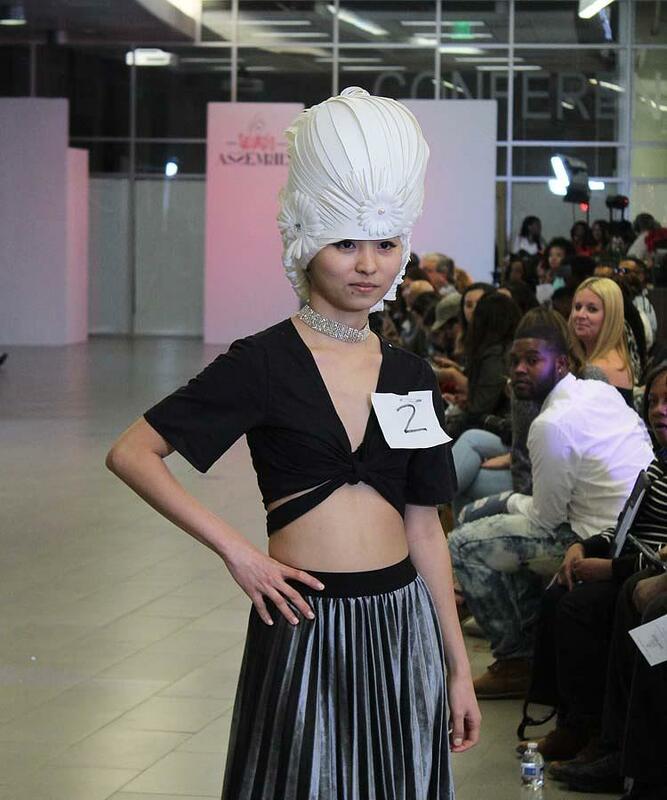 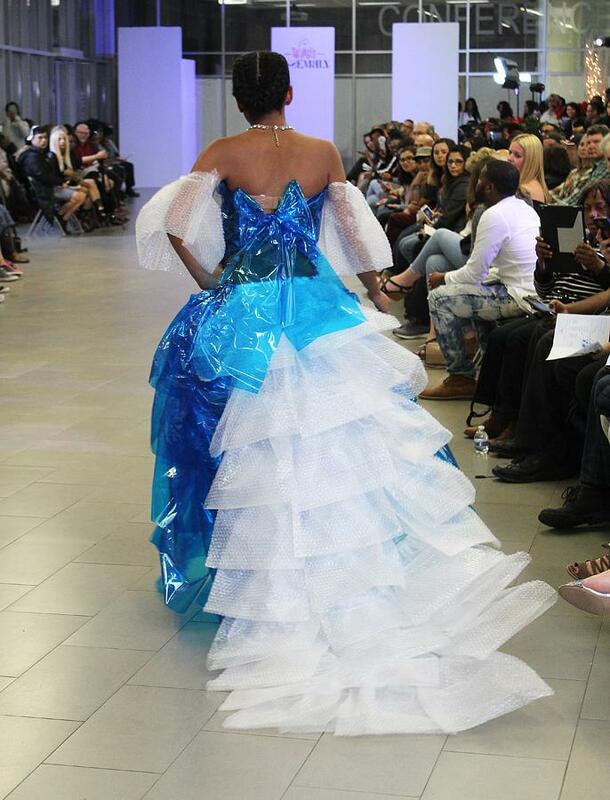 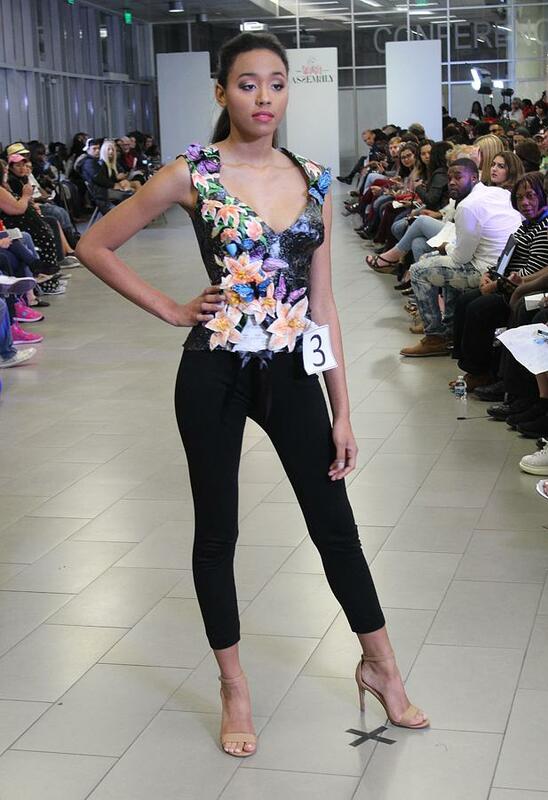 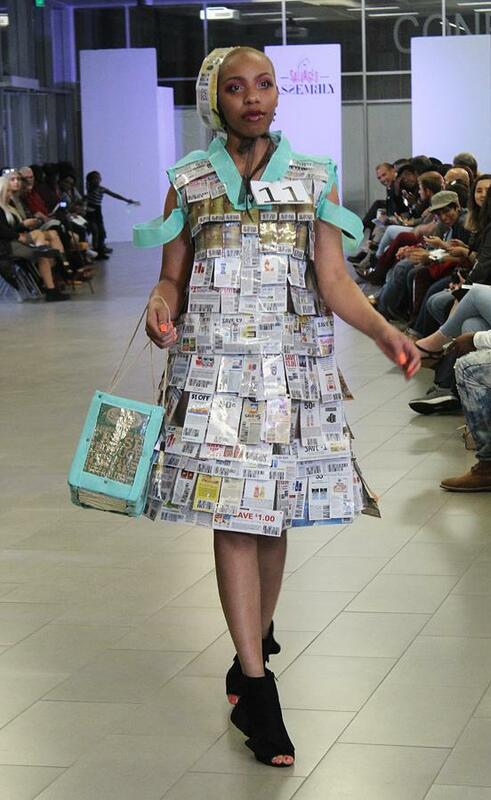 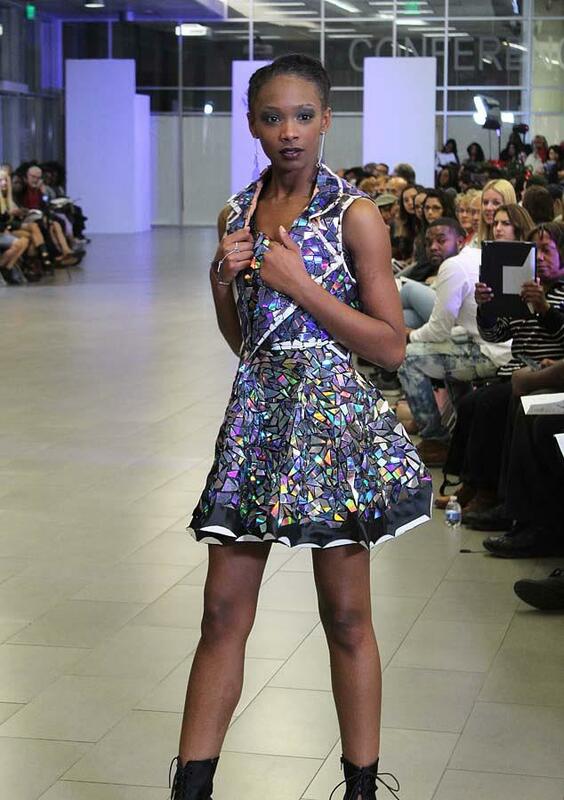 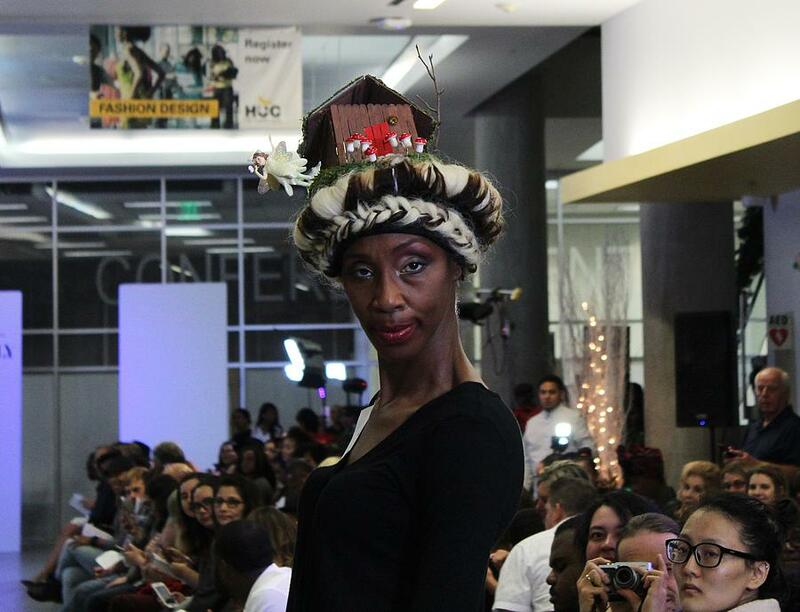 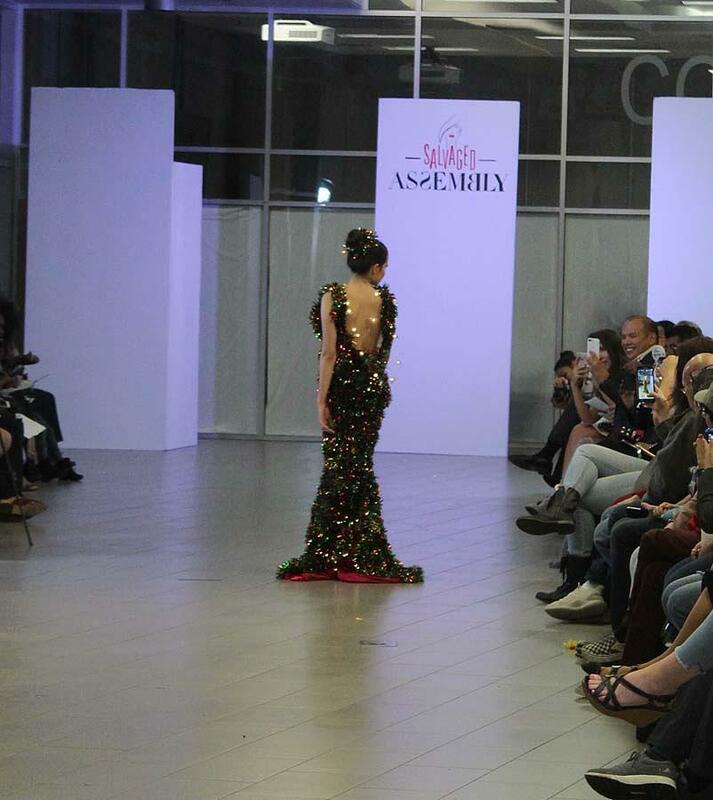 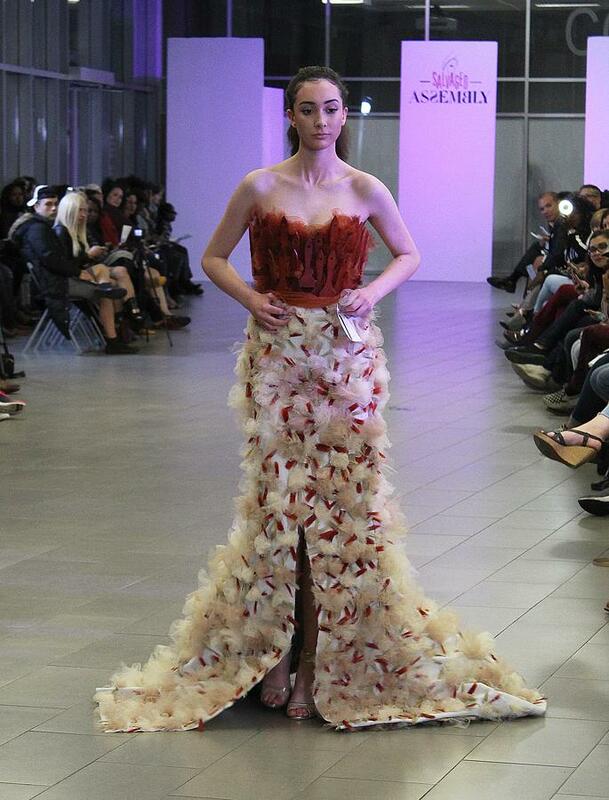 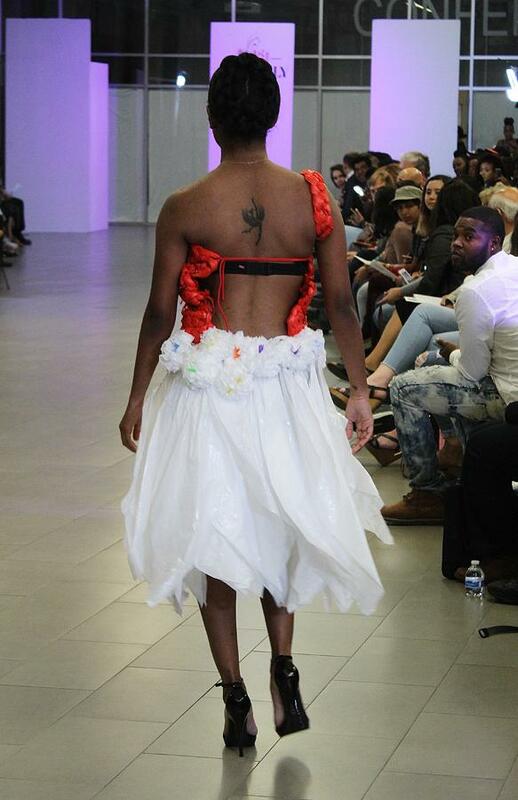 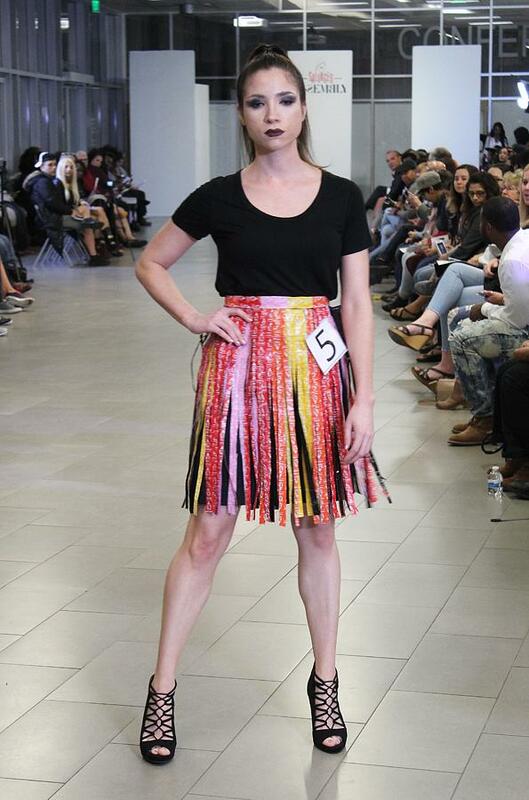 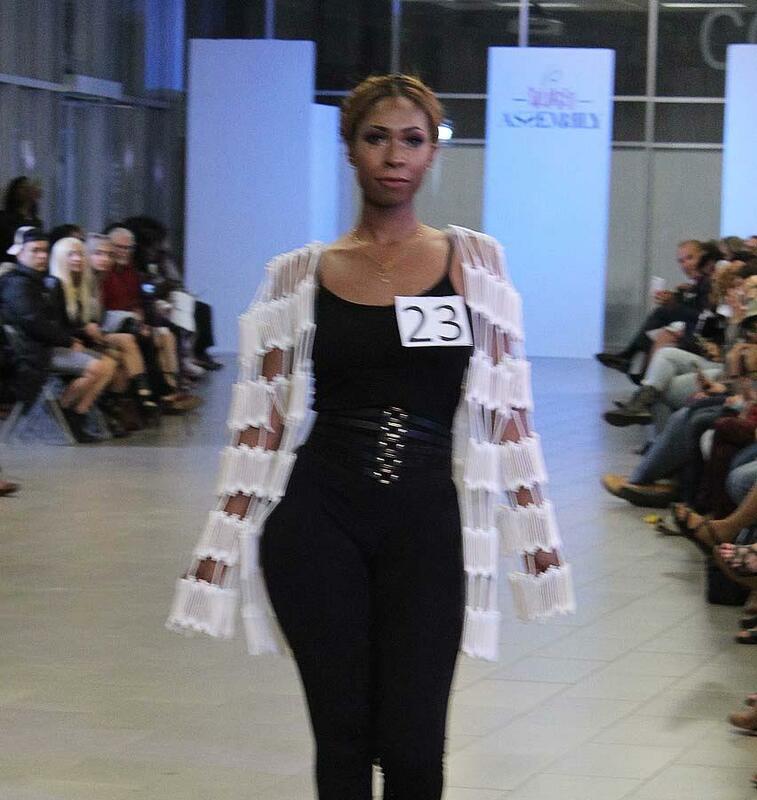 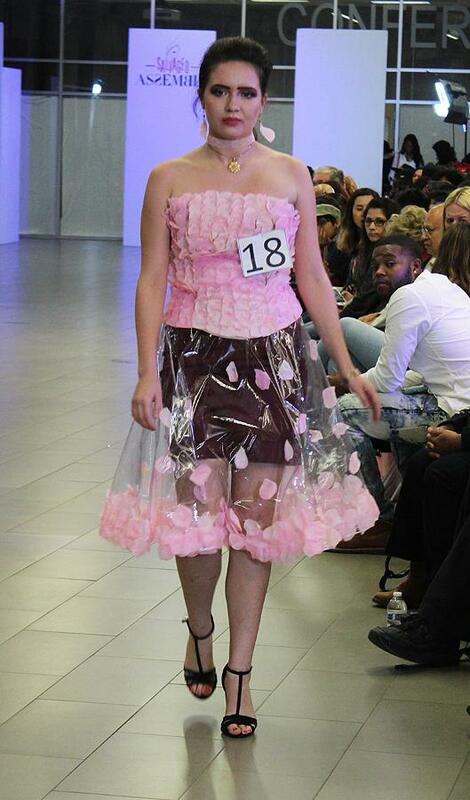 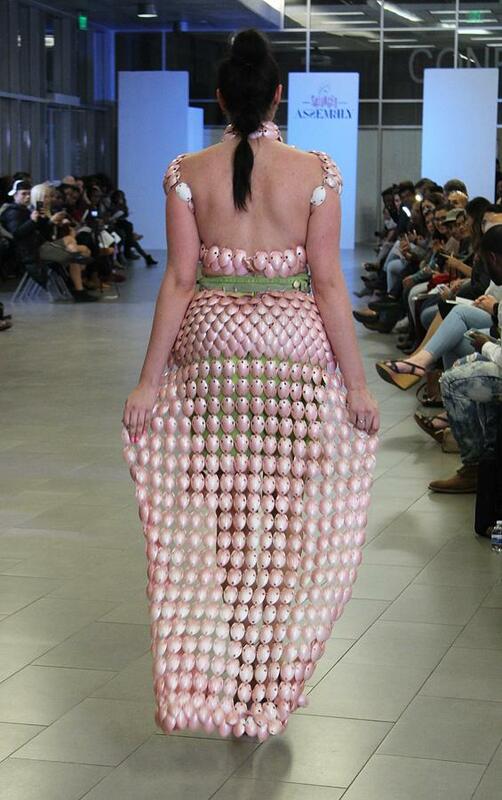 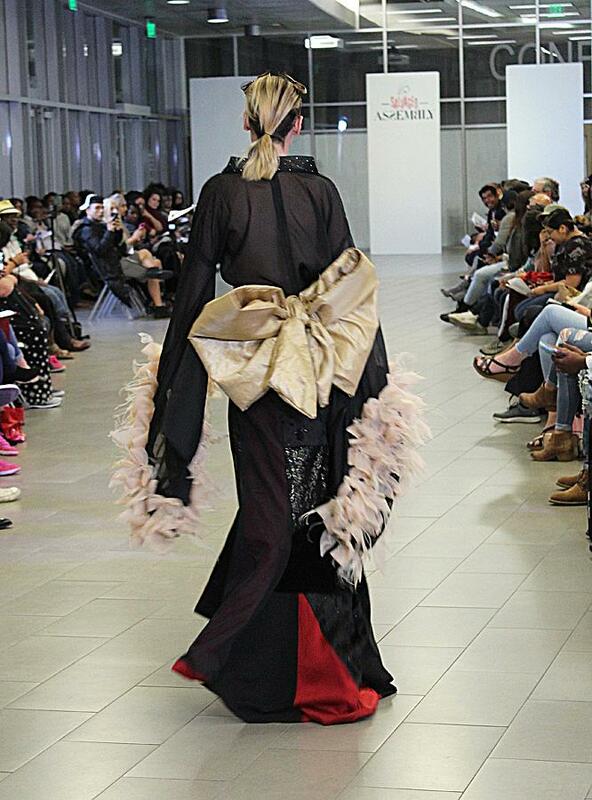 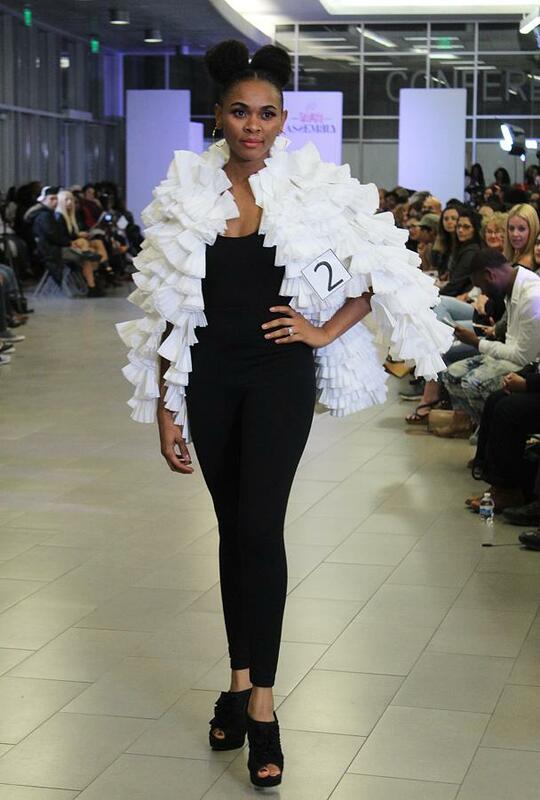 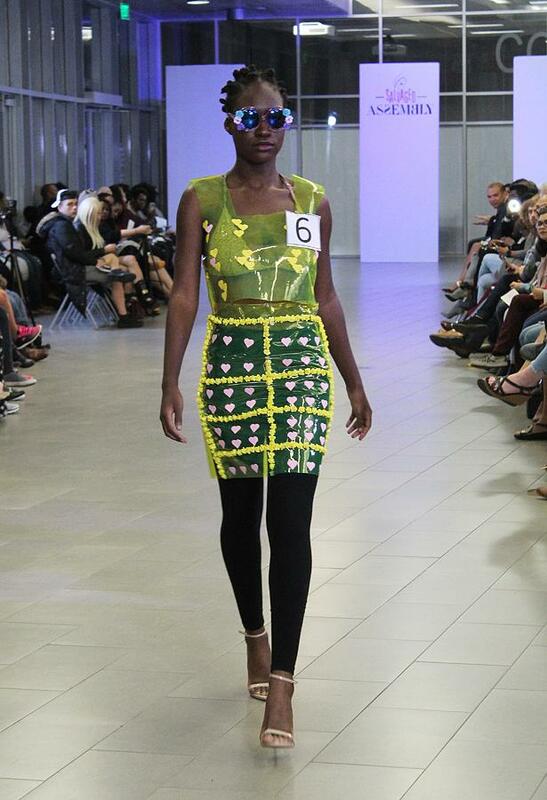 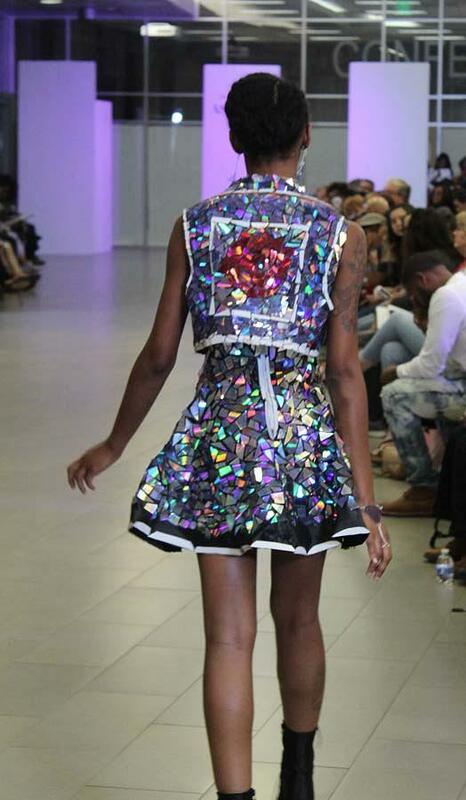 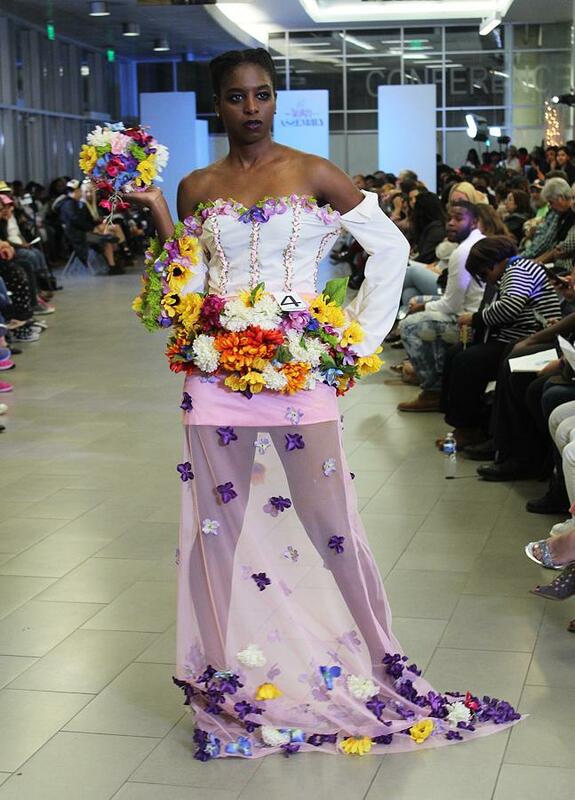 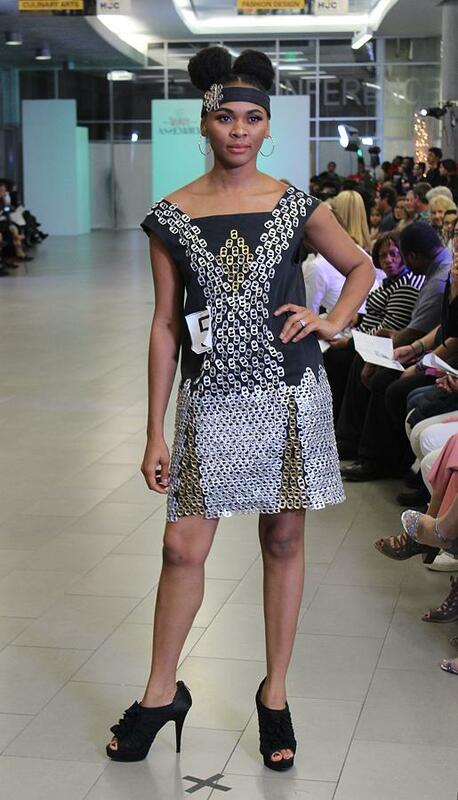 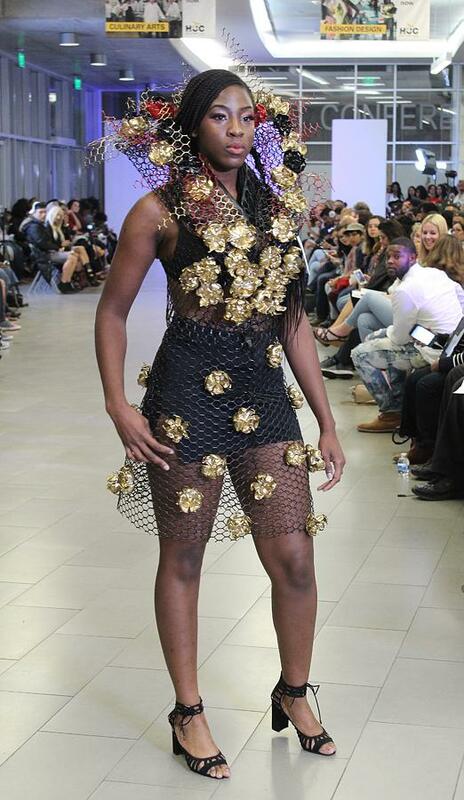 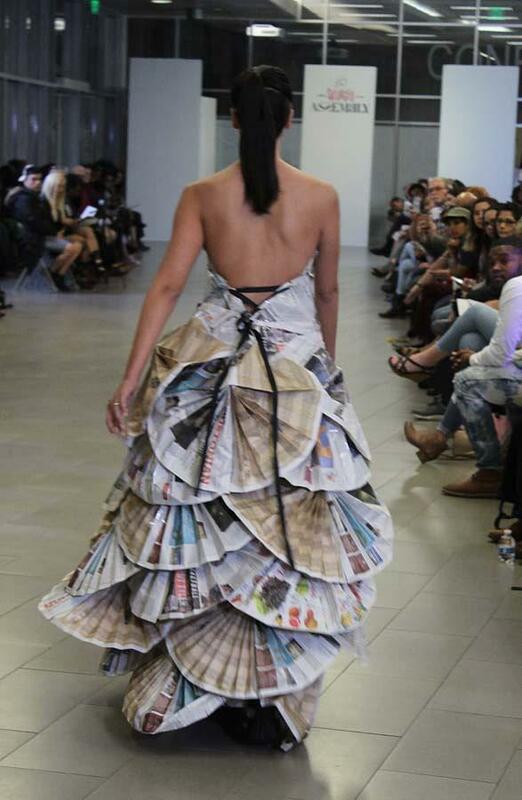 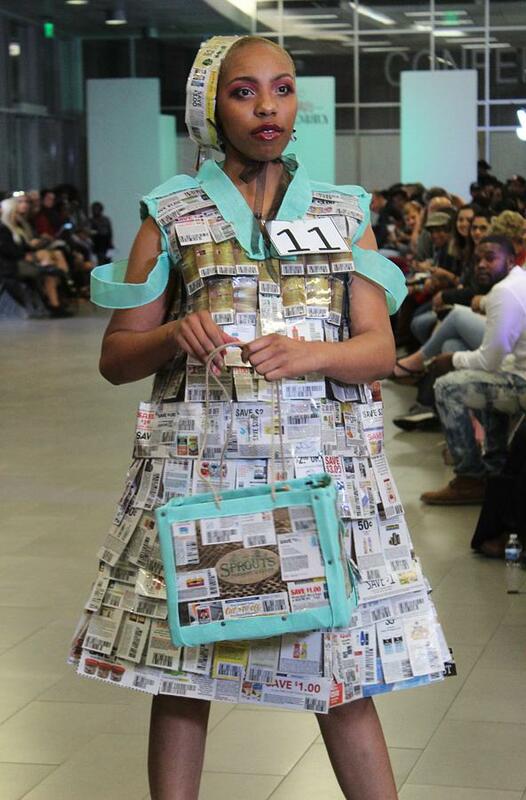 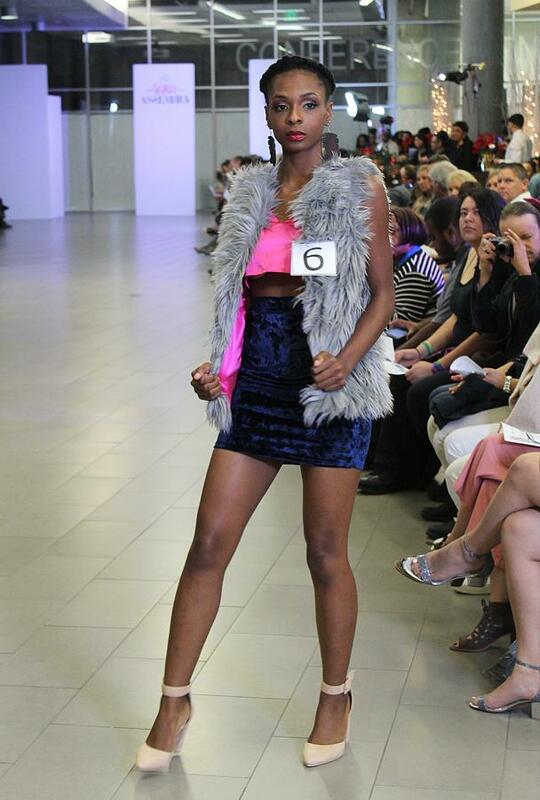 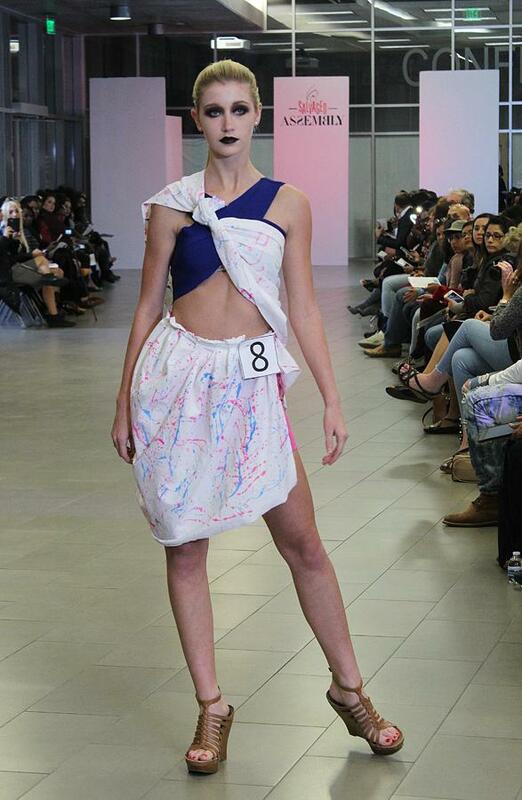 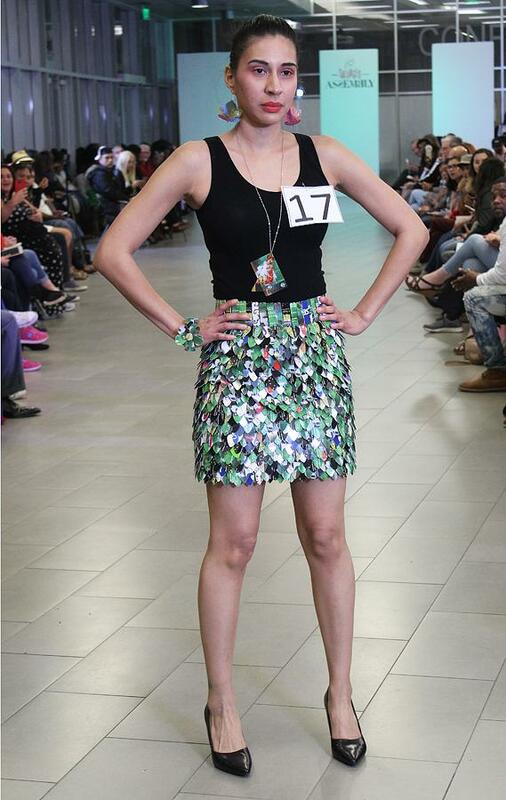 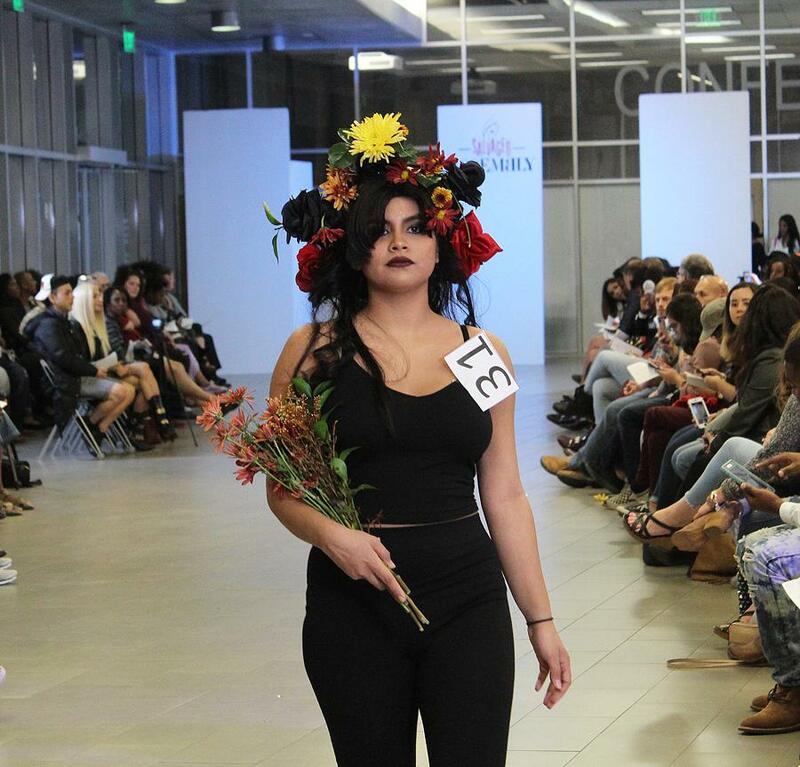 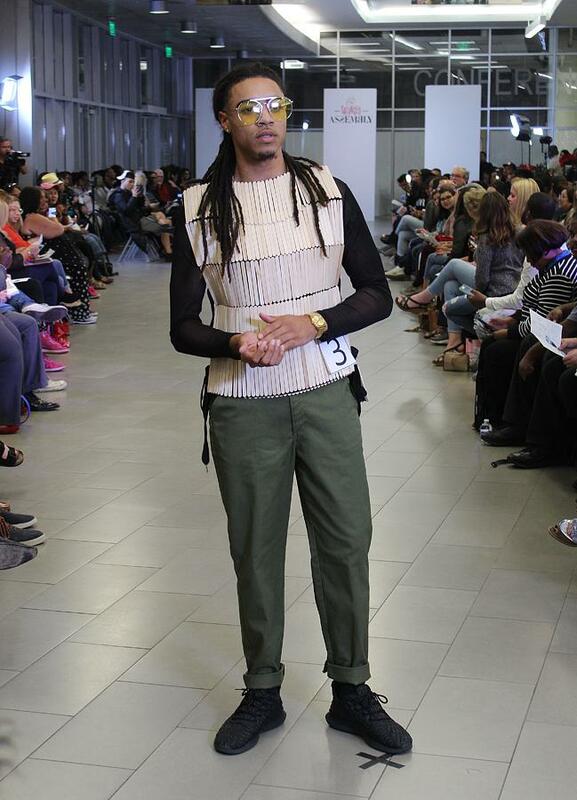 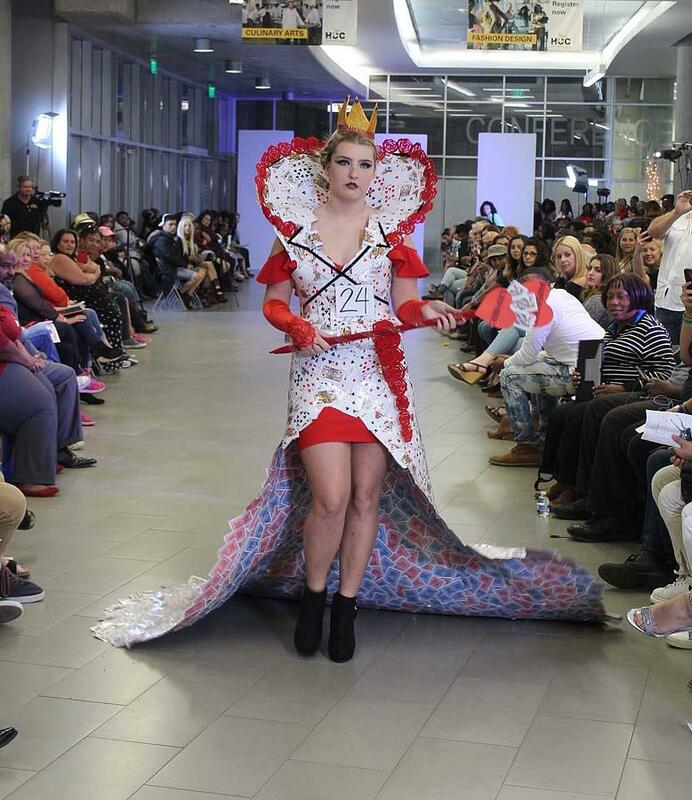 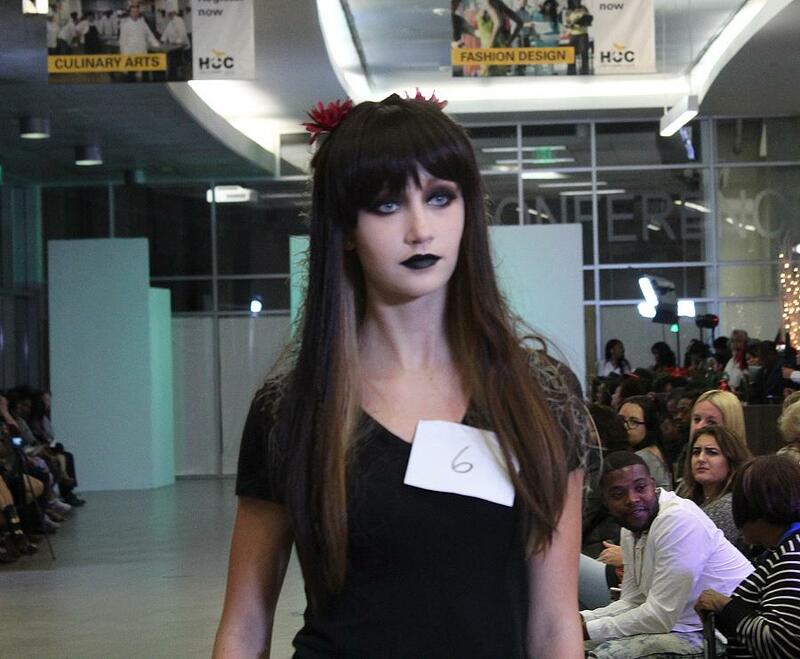 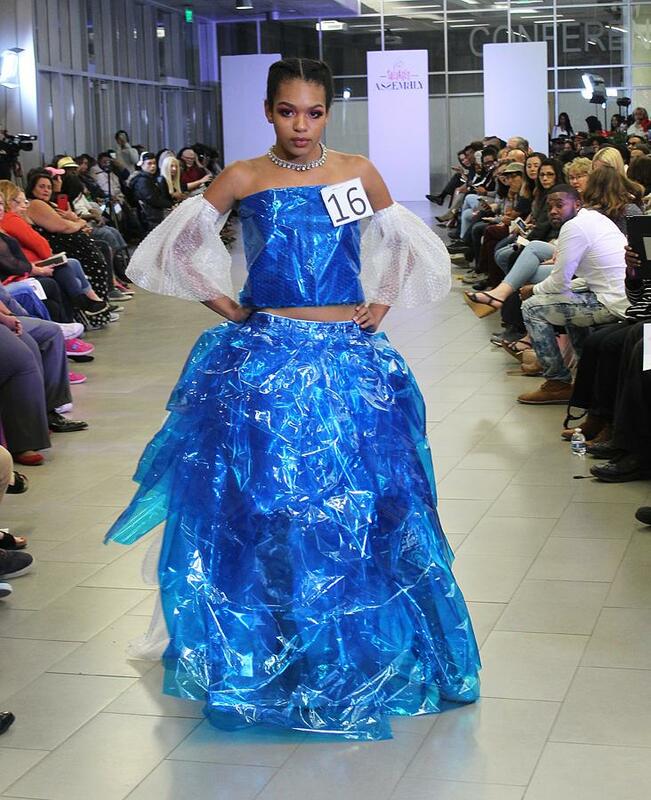 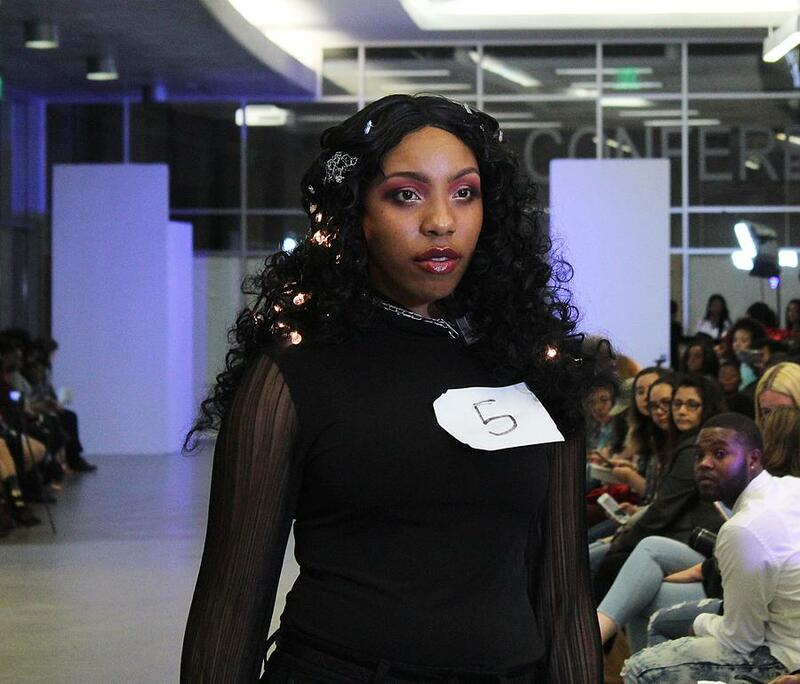 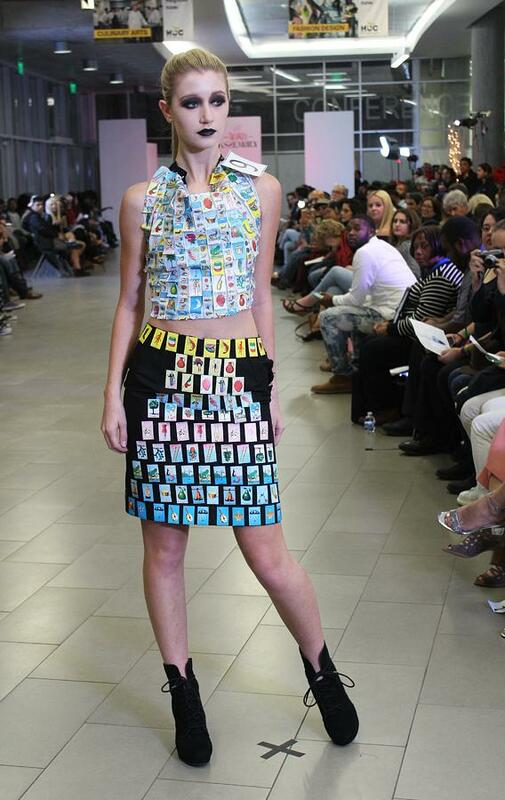 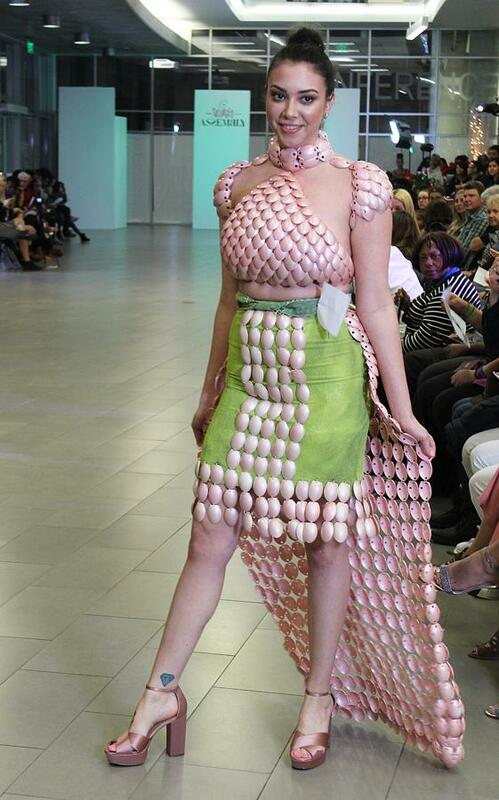 The fashion design and cosmetology students at Houston Community College once again put on another show that didn’t disappoint. 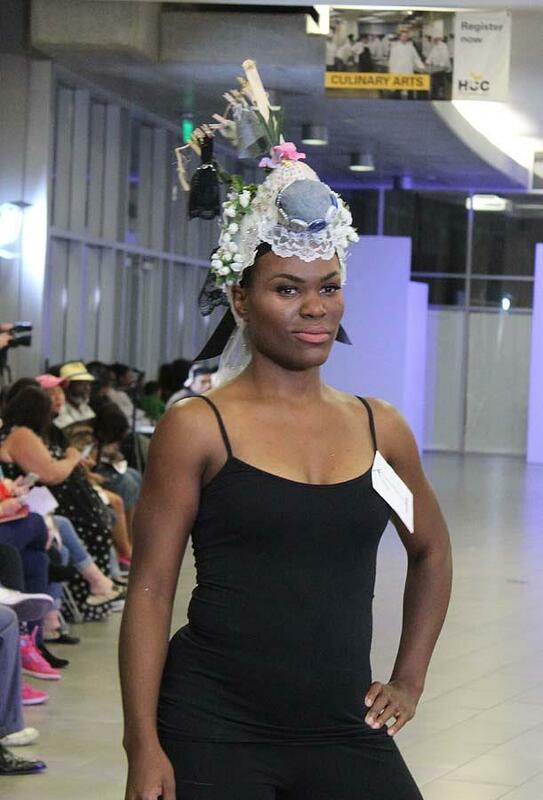 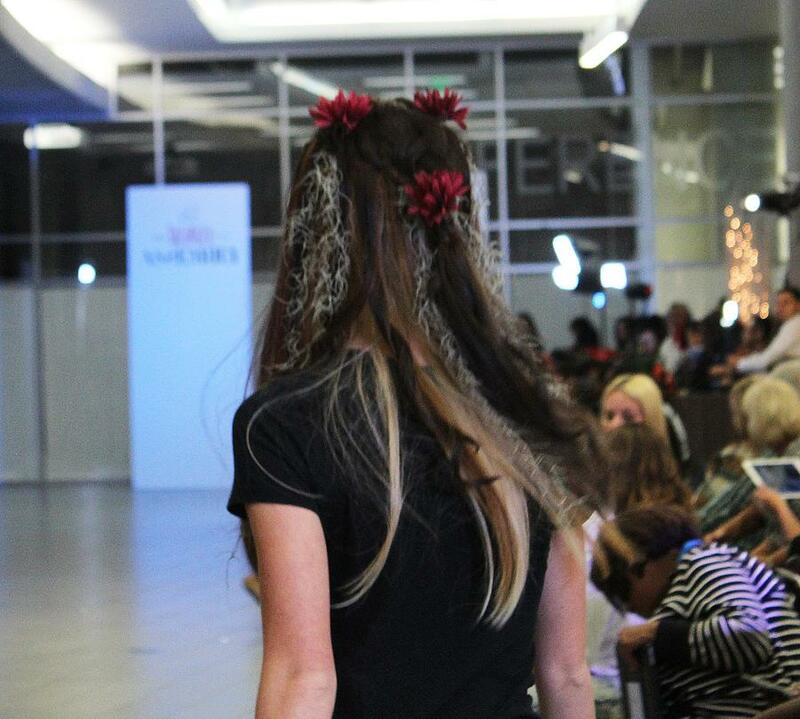 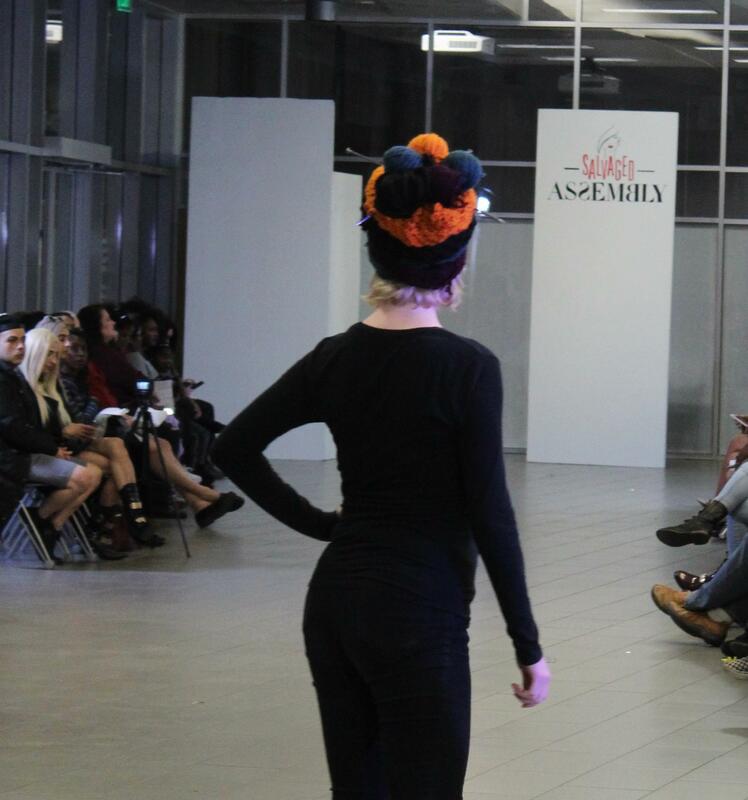 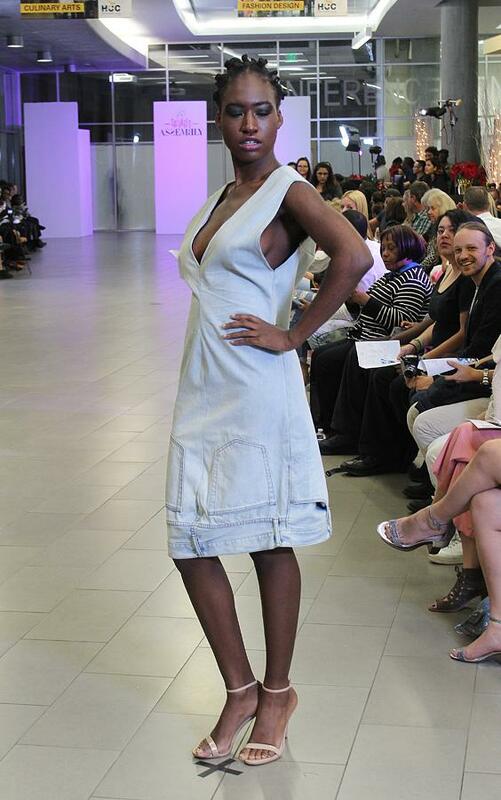 The show was also a competition, which featured judging by local industry professionals such as: Houston Chronicle’s Joy Sewing, designer Claire Drennan, Sarah-Jayne Smith and Ahshia Berry of Magpies and Peacocks, Torcha Walters from Simone’s Hair Gallery, and Naketha Ross from 360 Degrees. 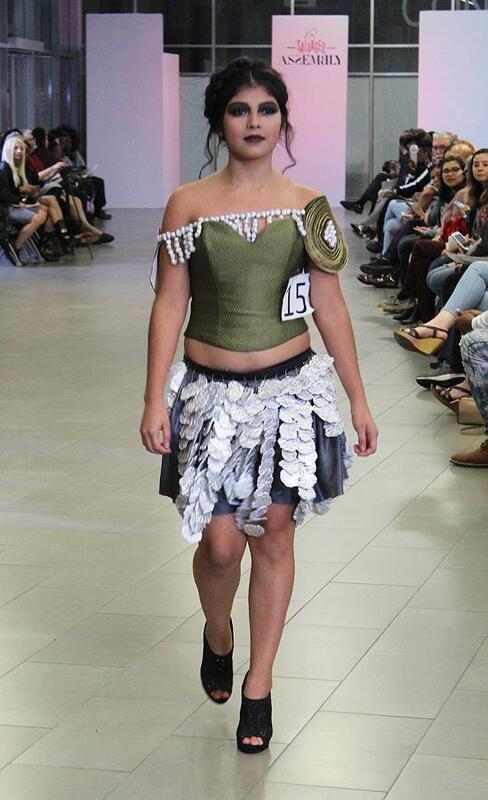 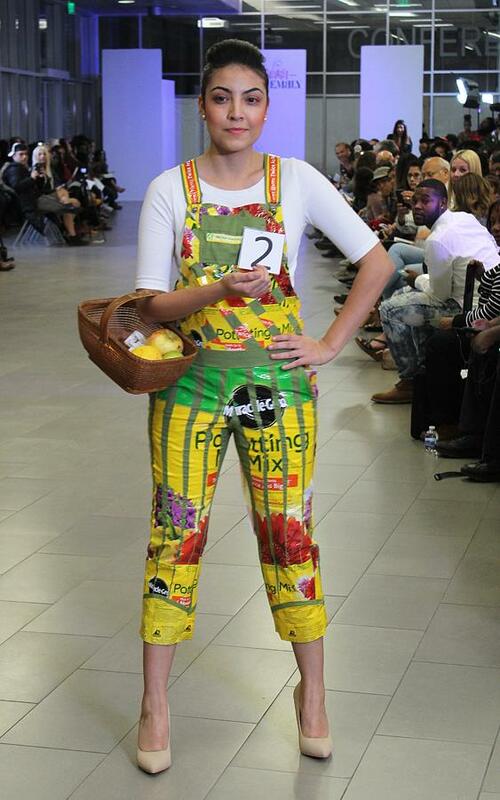 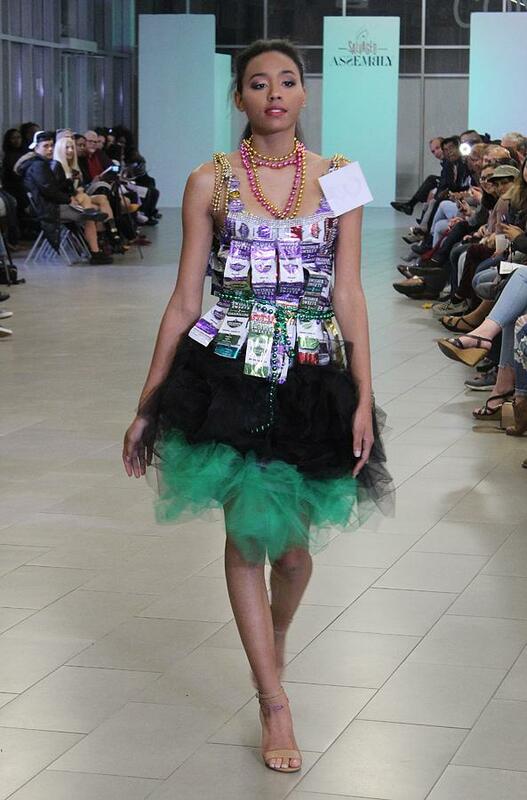 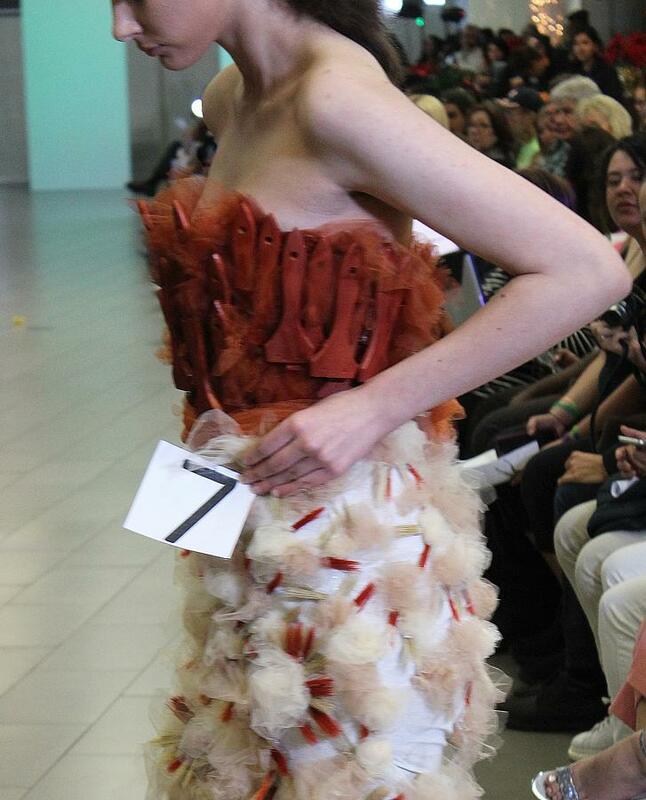 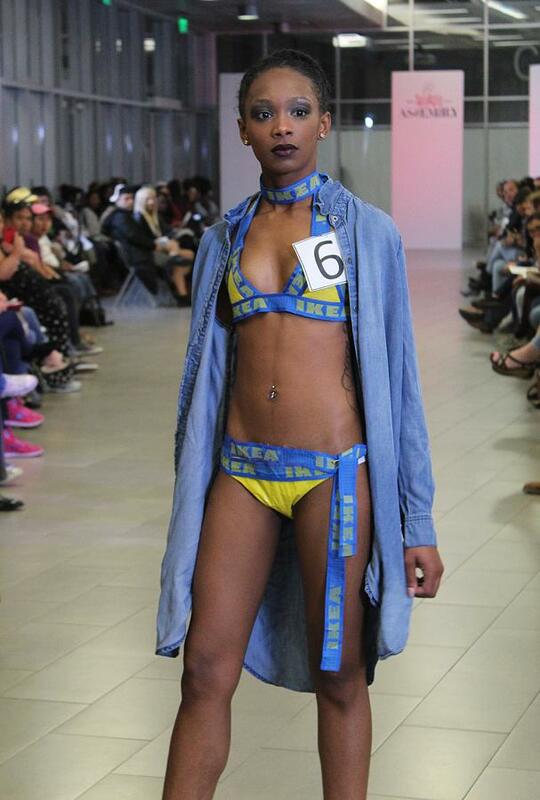 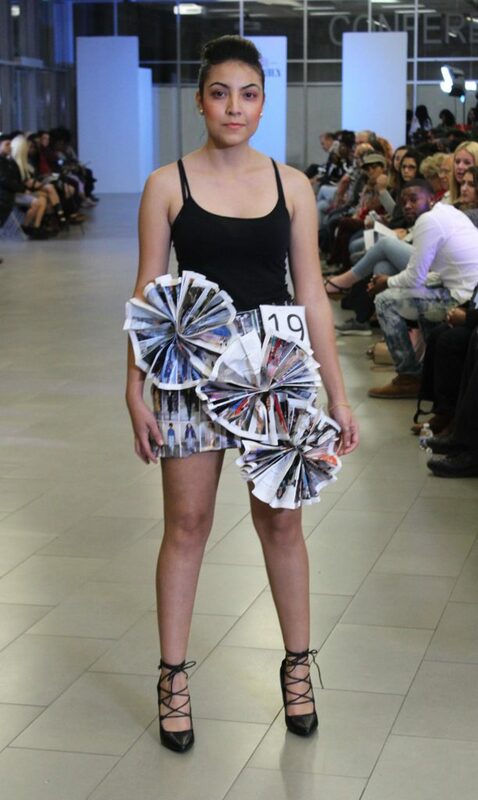 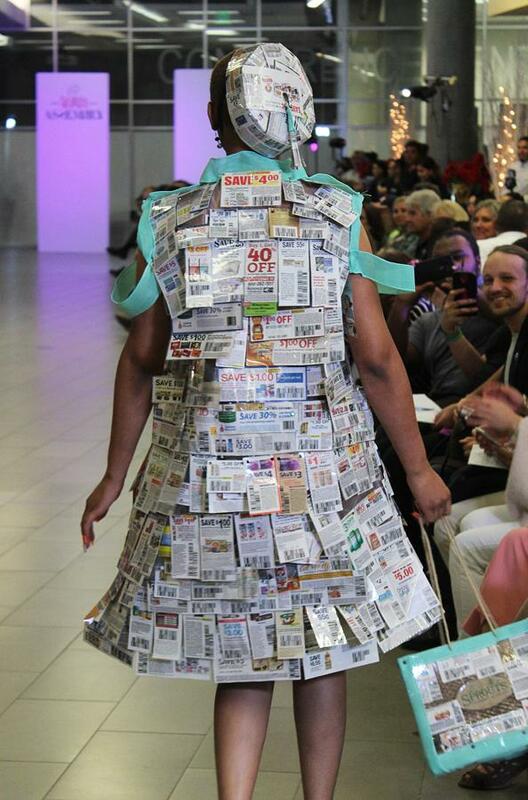 The students competed in four categories: ‘Thrifted Threads,’ ‘Eco-rize,’ ‘Green Lux,’ and ‘Wearable Art.’ I saw garments constructed from potting soil bags, Q-Tips, coupons, newspaper, playing cards, pop tabs, paintbrushes, faux woven hair, holiday garland, denim, door hinges, color sample chips, cardboard, shopping bags, bubble wrap, Ikea bags, and so much more! 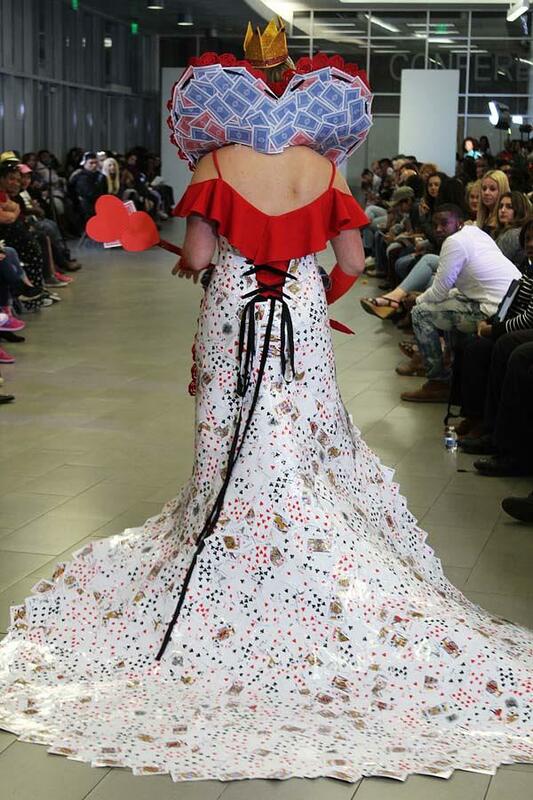 My favorite garments were: the shopping bag dress with hat and shoes, the Queen of Hearts-inspired dress that was made mostly out of playing cards, a long dress made of holiday garland and featured working lights, a bikini made from Ikea bags, and a 1920s/Flapper- inspired dress made mostly from pop tabs and fabric. 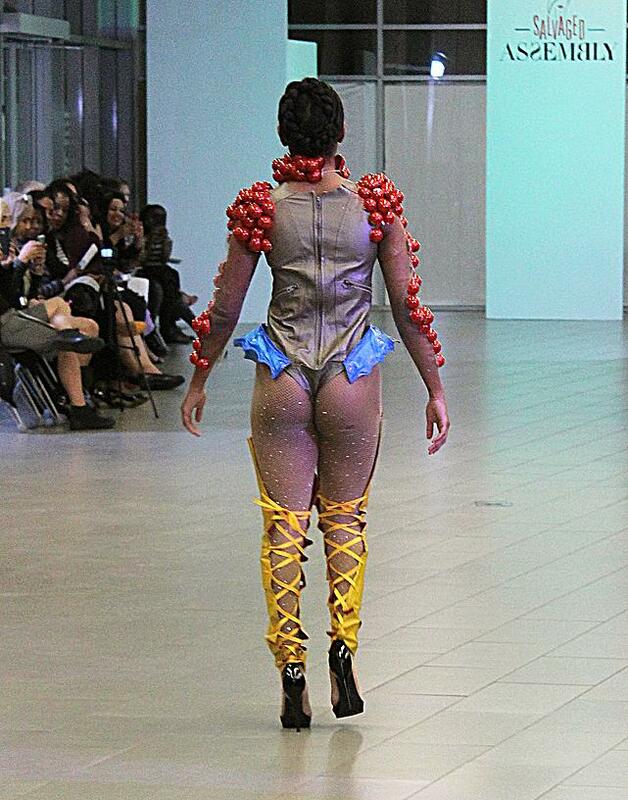 Then, the craziest, yet avant-garde outfit I’ve seen in awhile, a bustier with matching pants, strutted down the runway. 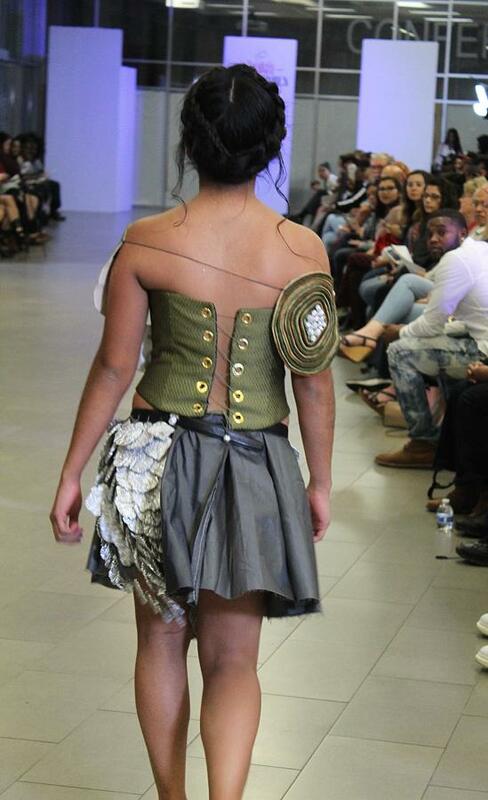 Upon further glance, I noticed that the bustier and the trim on the pants were constructed from faux woven hair! 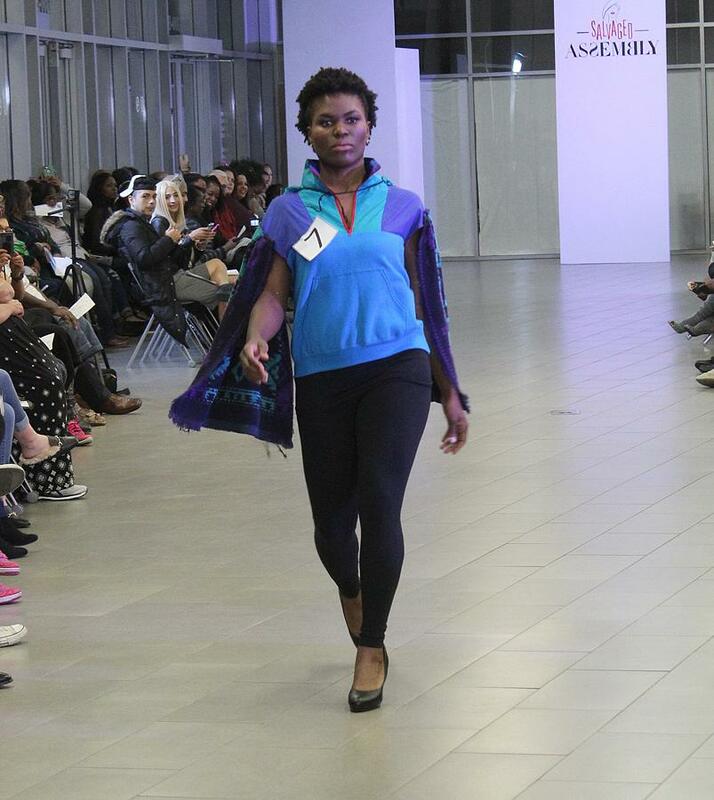 The model that rocked it was also pretty fierce, so it was no surprise that it stood out in my book. 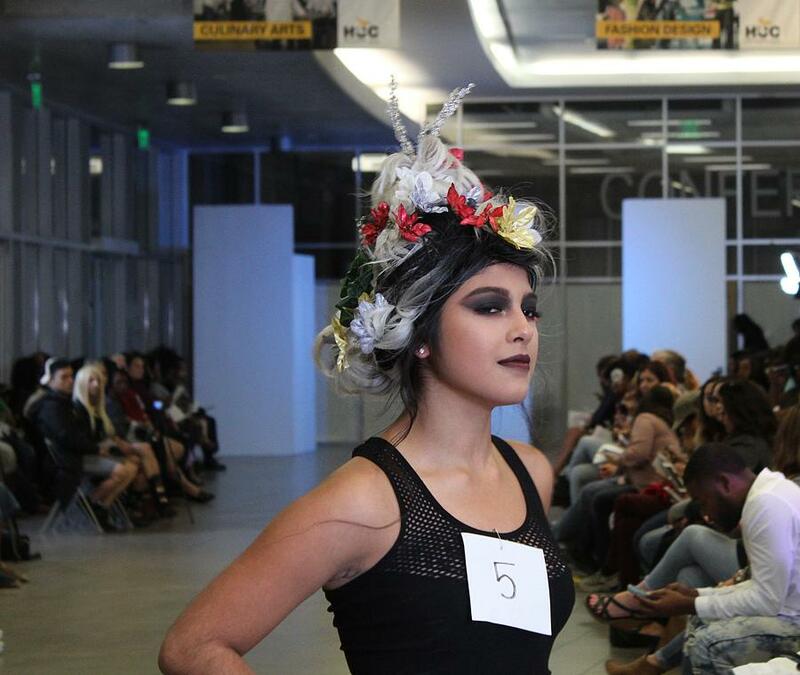 The cosmetology students also created incredible works of art for the competition. 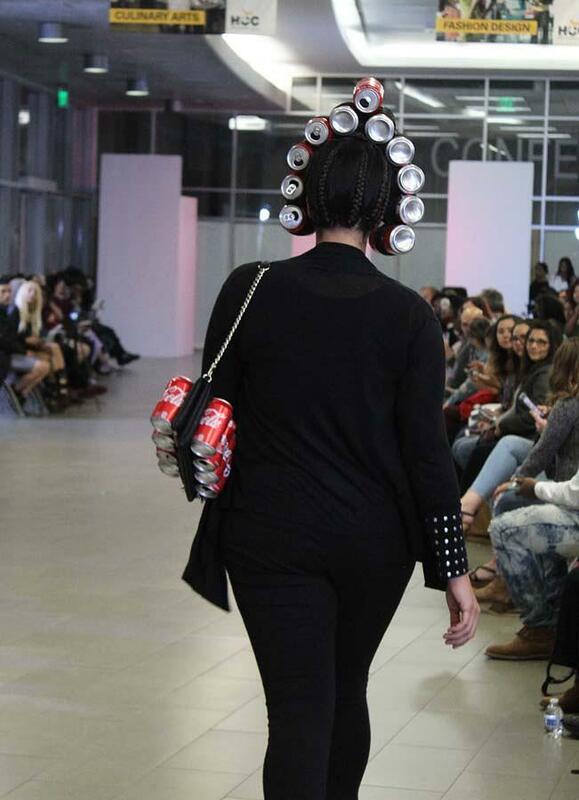 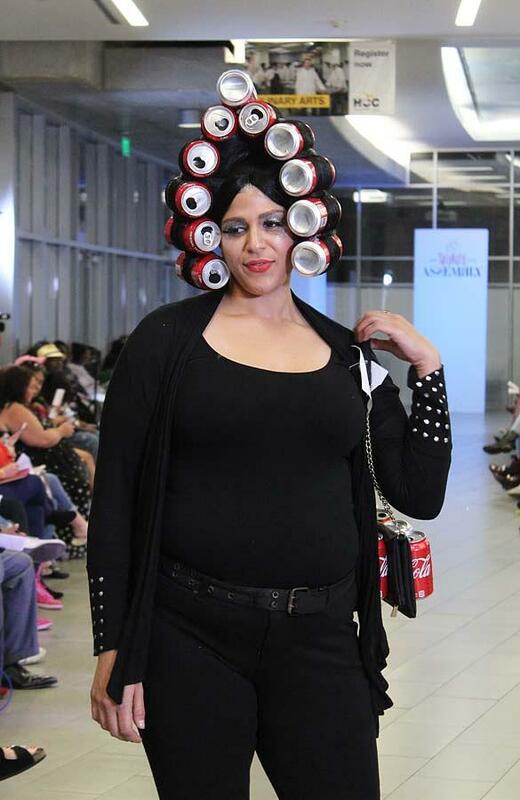 I witnessed one gal wearing Coca-Cola cans as giant rollers, which wouldn’t be complete without a can handbag. 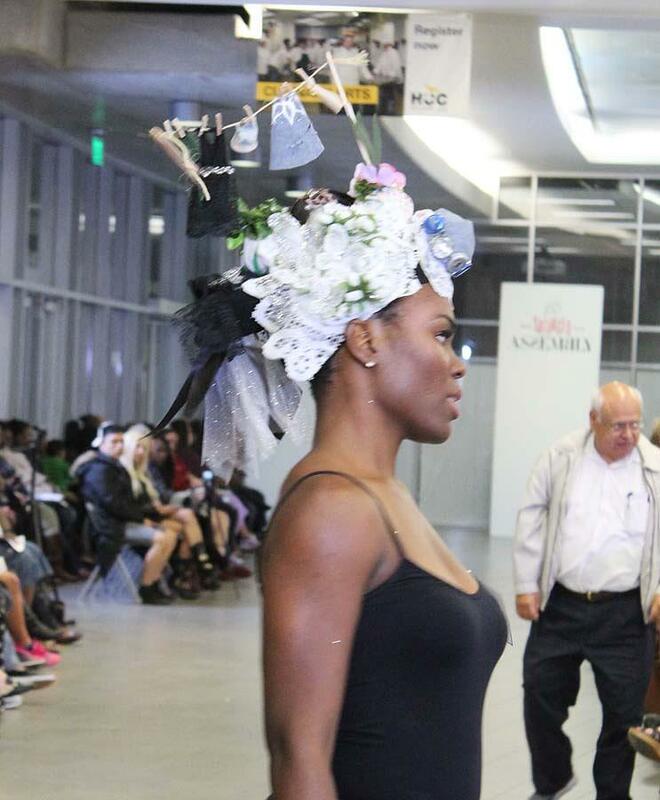 I also saw intricate sculptures on the models’ heads that were just brilliant, such as a nautical theme, a clothesline, flowers, and more. 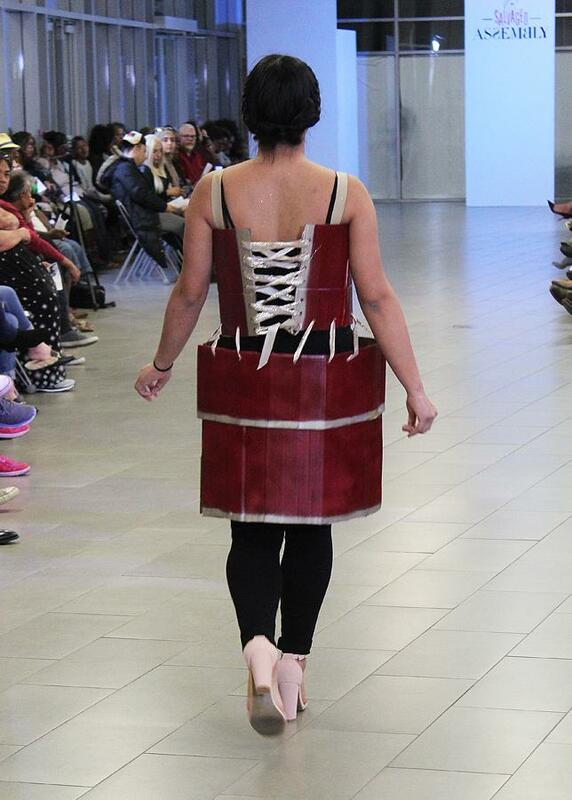 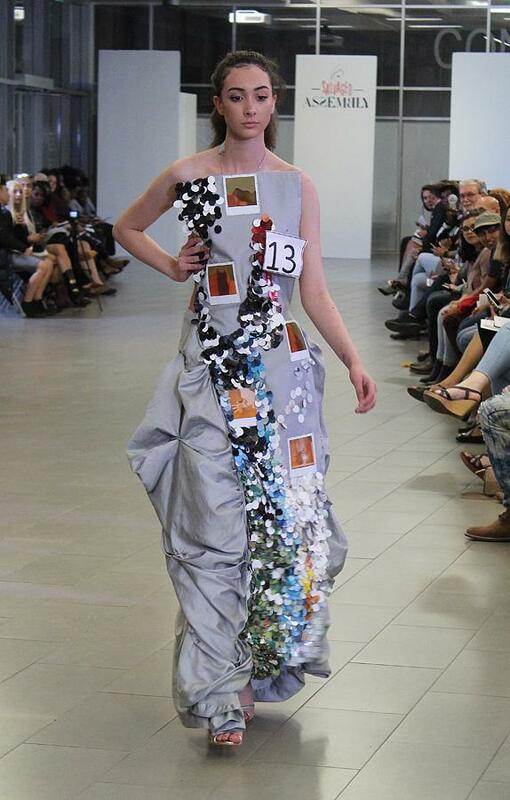 “This year’s show theme, “Salvaged Assembly, Redefining Sustainable Style” came about as our students began thinking of a way to give a different approach to our annual Flash & Trash show. 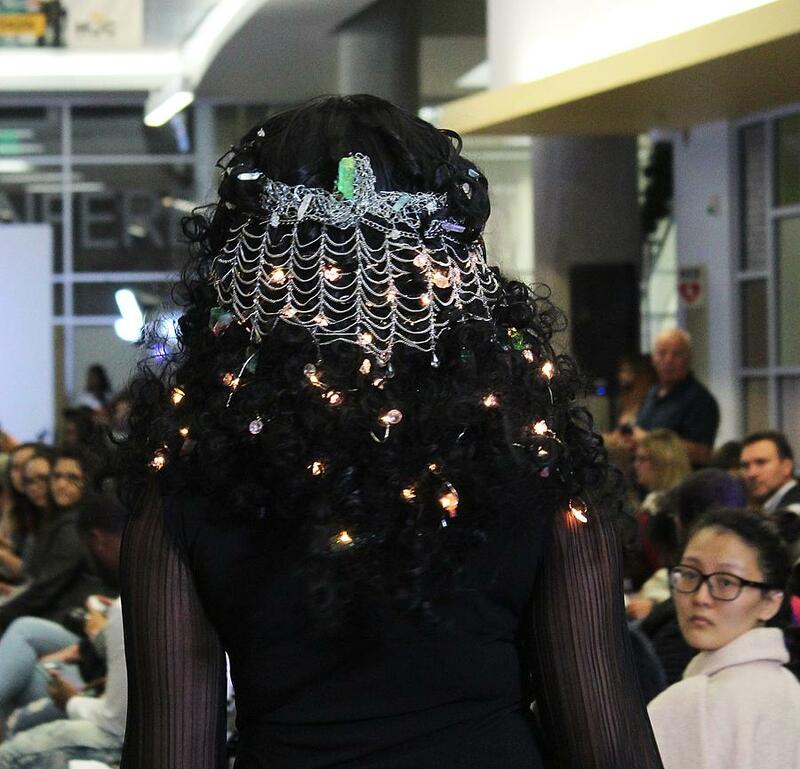 Sustainability is a topic of importance in the world of fashion, and it was important for students to began focusing on the impact that their designs will have on the environment. 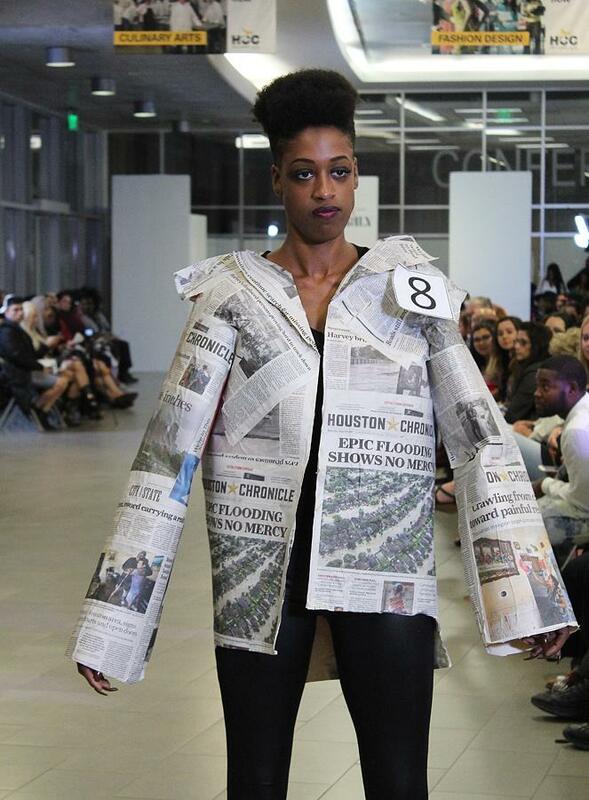 Garments were created using re-worked clothing and other materials including but not limited to items such as paper, plastic, and wood. 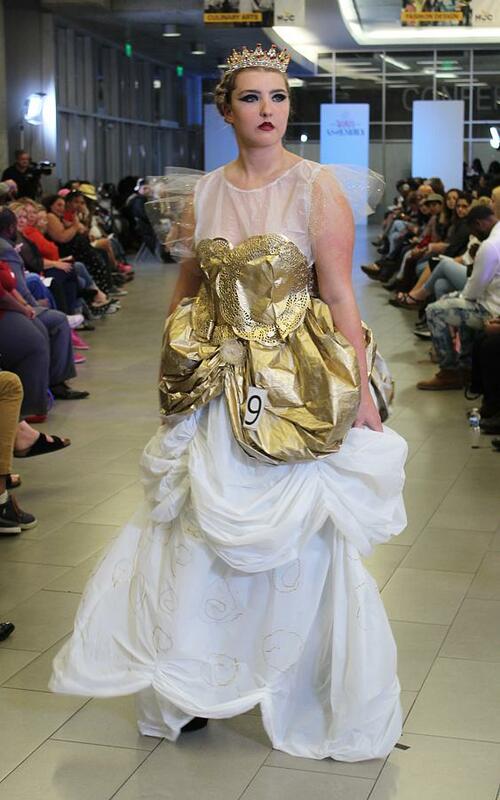 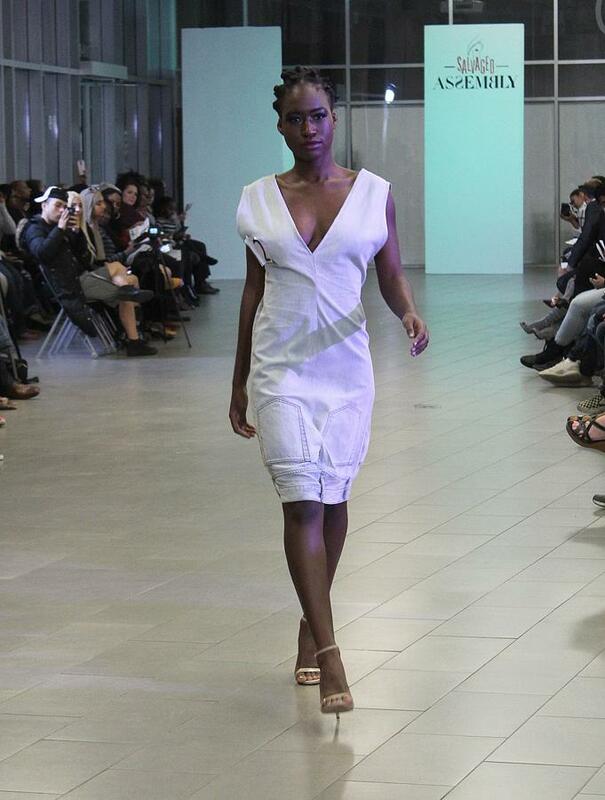 The Sustainable Style show features designs from our Ready-to-wear Fashion Design students who are typically just beginning the fashion program at HCC. 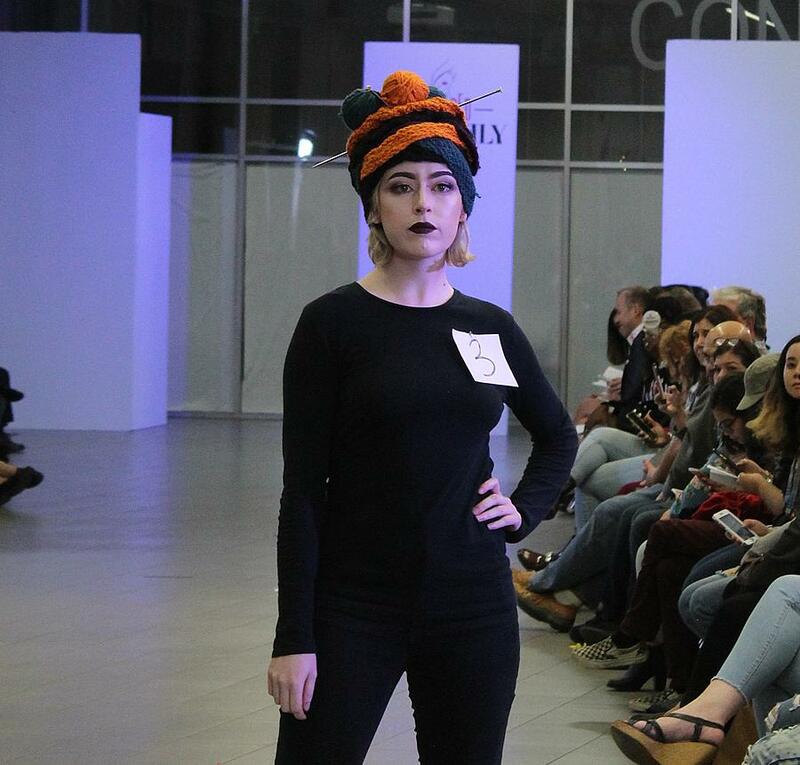 The show is entirely produced and directed by the Fashion Promotions class, which consists of predominantly Fashion Merchandising majors. 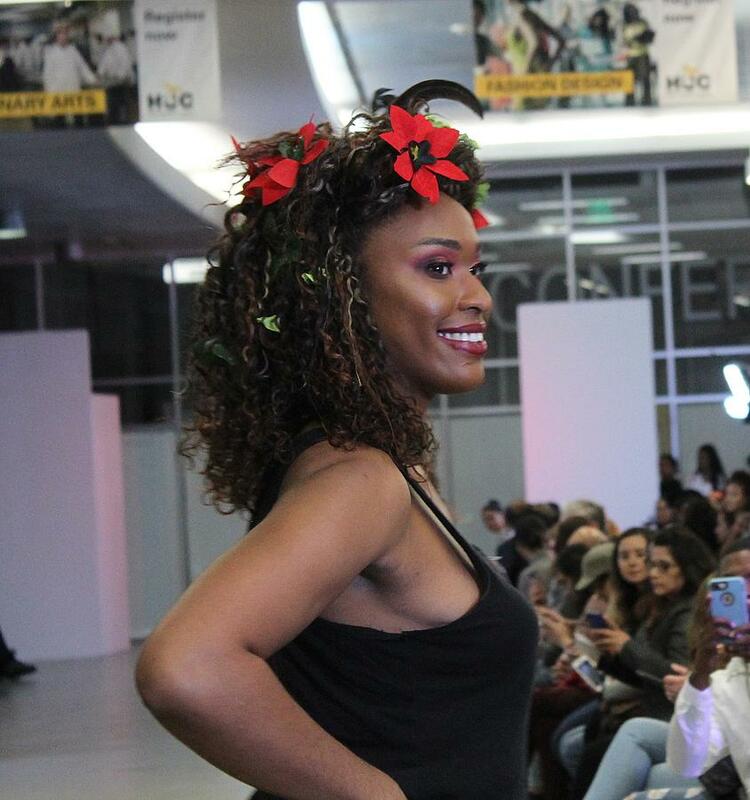 Proceeds from ticket sales go toward Fashion Design and Merchandising scholarships and programs,” HCC fashion professor- Andrea Bonner stated.